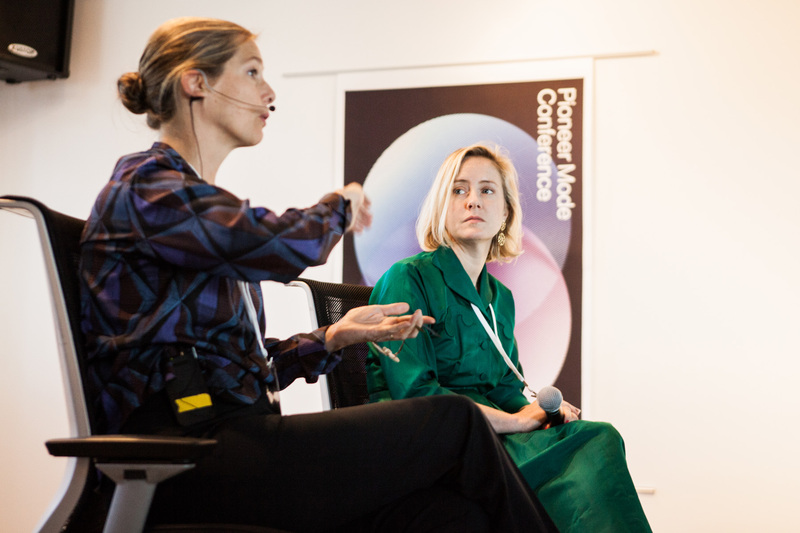 Pioneer Mode Conference from Nicole Lenzen on Vimeo. 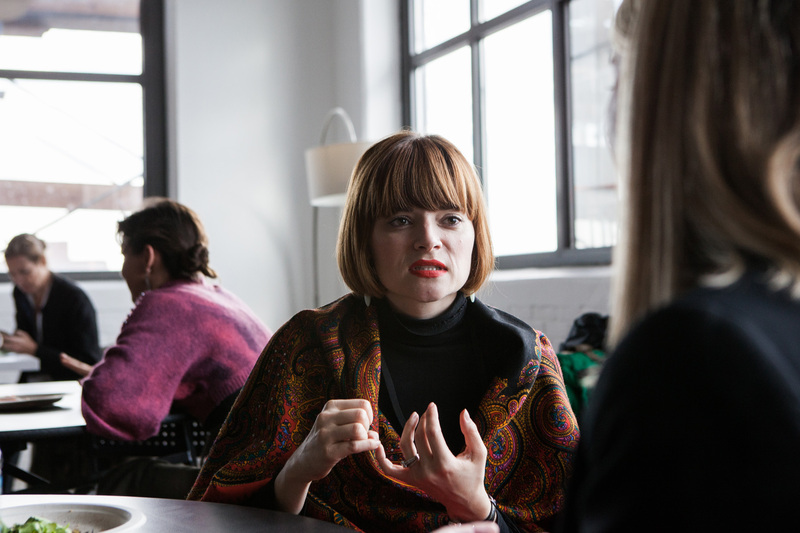 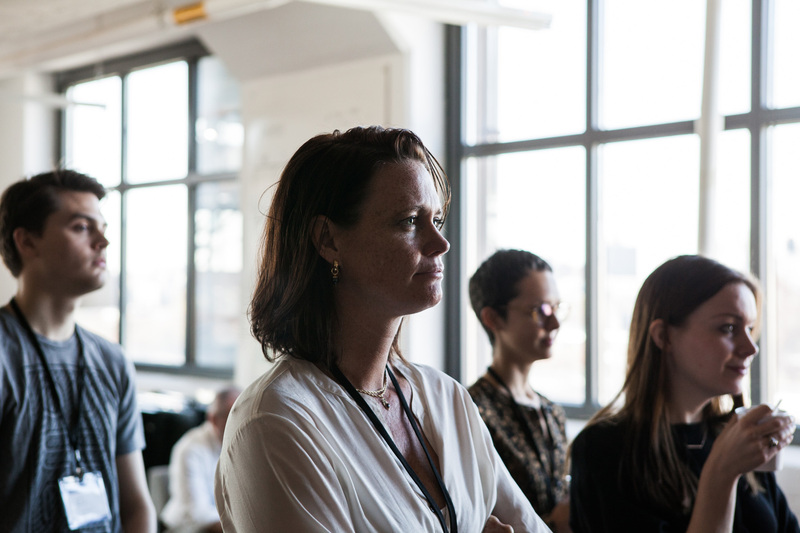 As a designer and consultant in the fashion industry for over a decade, Nicole has experienced a huge disconnect between her values and the industry at large. 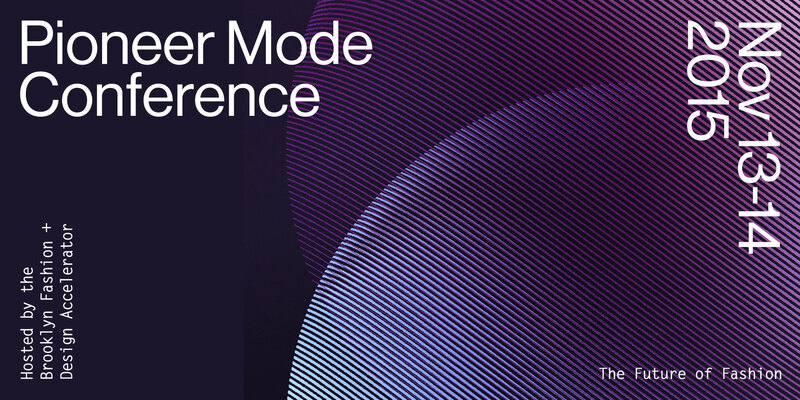 This was the inspiration behind Pioneer Mode. 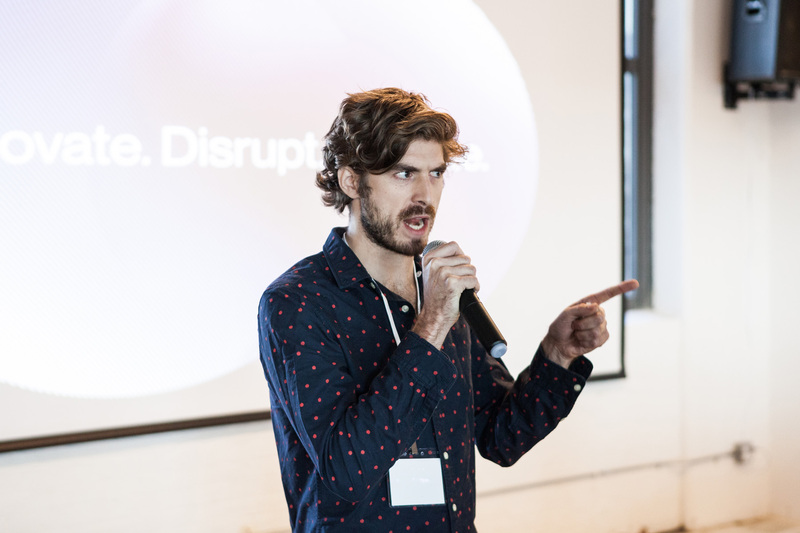 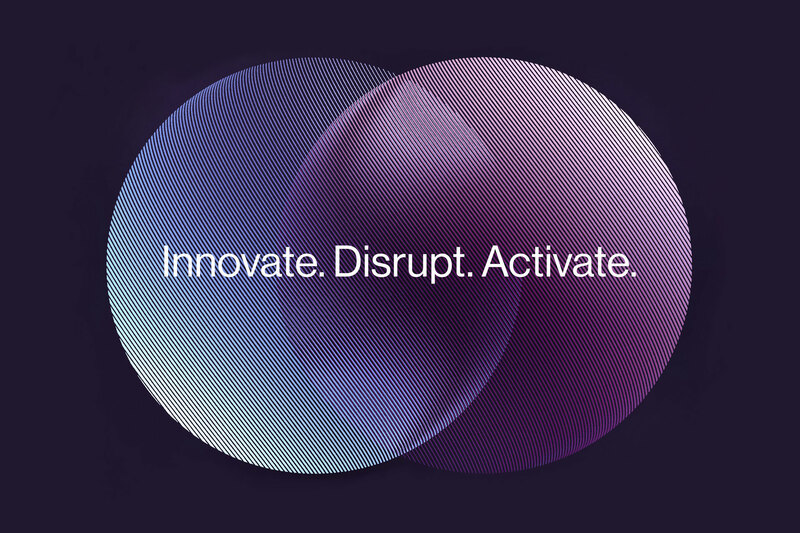 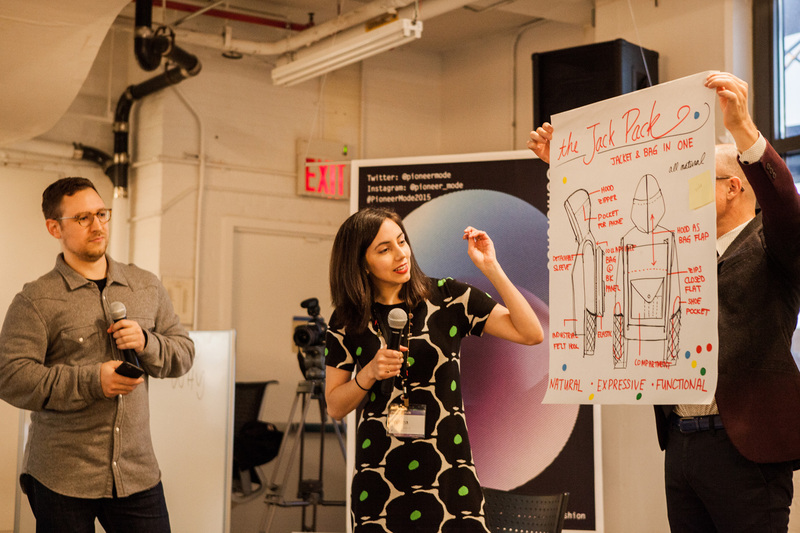 What started out as an idea, soon grew into a community and successful conference headlined by thought leaders and innovators in design, technology, and business. 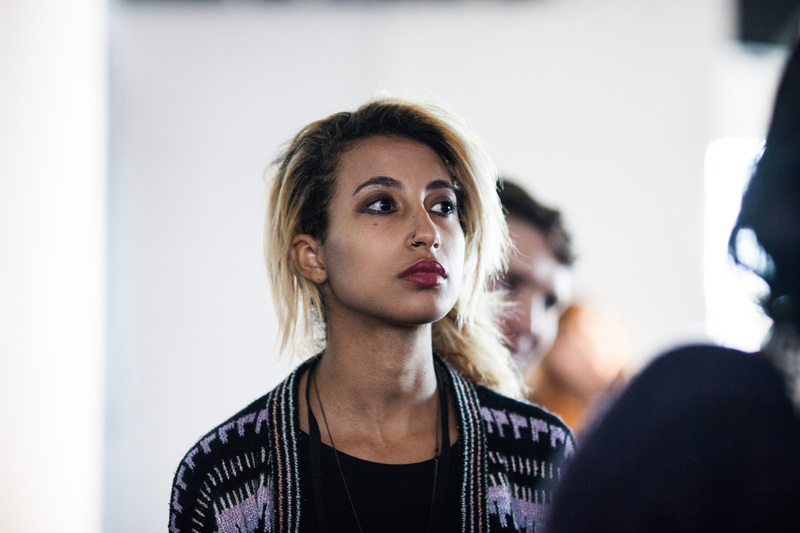 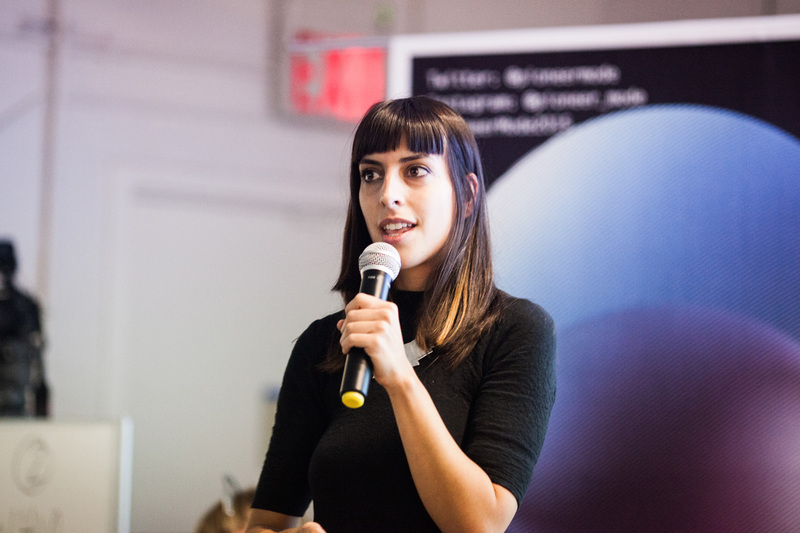 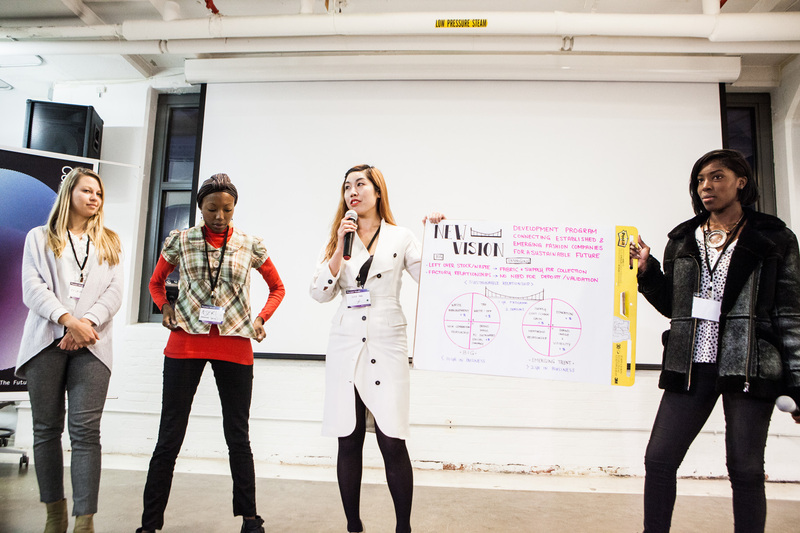 Through a design thinking approach to problem solving and a passion for social innovation and sustainability, Nicole co-founded and produced Pioneer Mode’s prestigious two-day fashion conference in NYC that served to revolutionize and humanize the fashion industry. 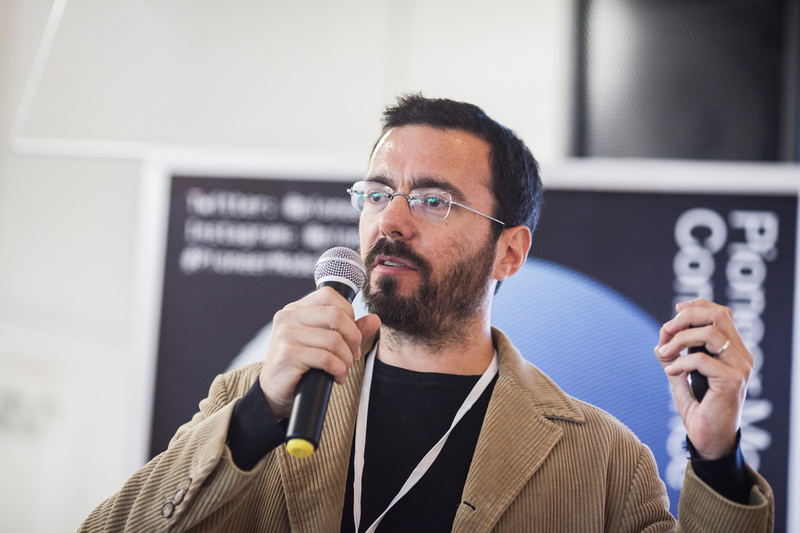 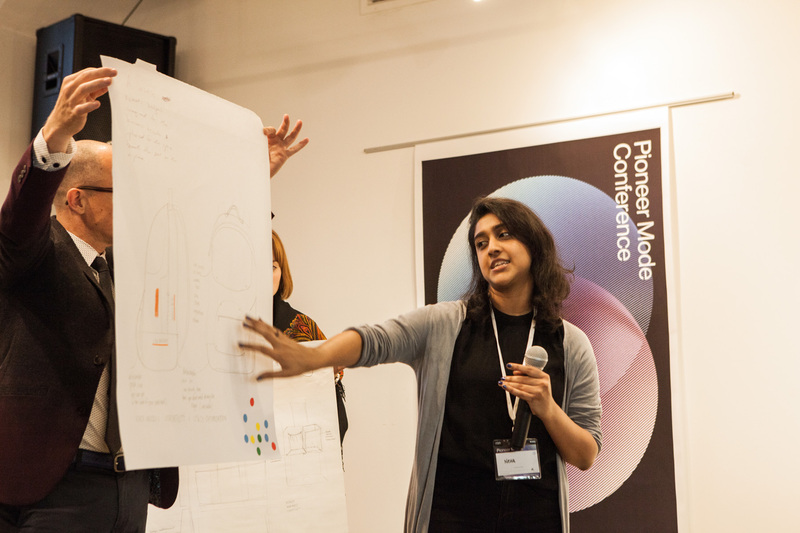 Pioneer Mode is a conference to discuss the social, environmental, and organizational issues plaguing the fashion industry, and to uncover potential business solutions through creative, cross-disciplinary problem solving. 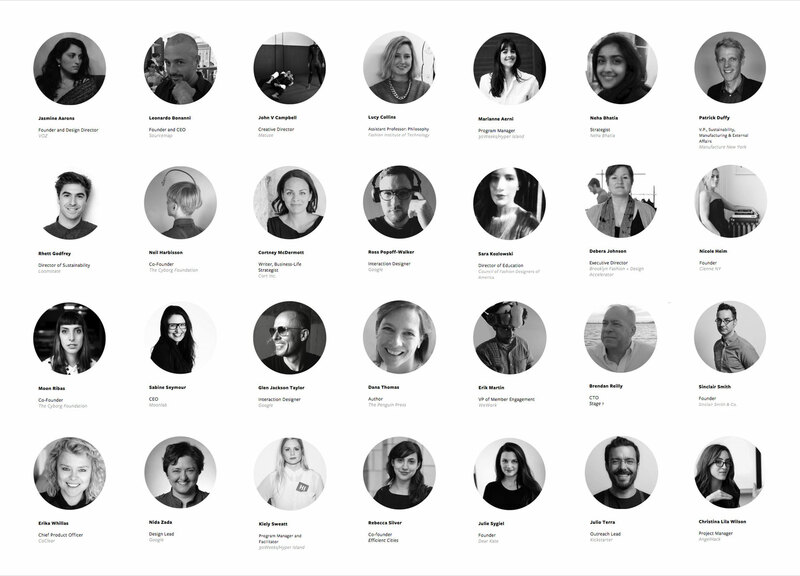 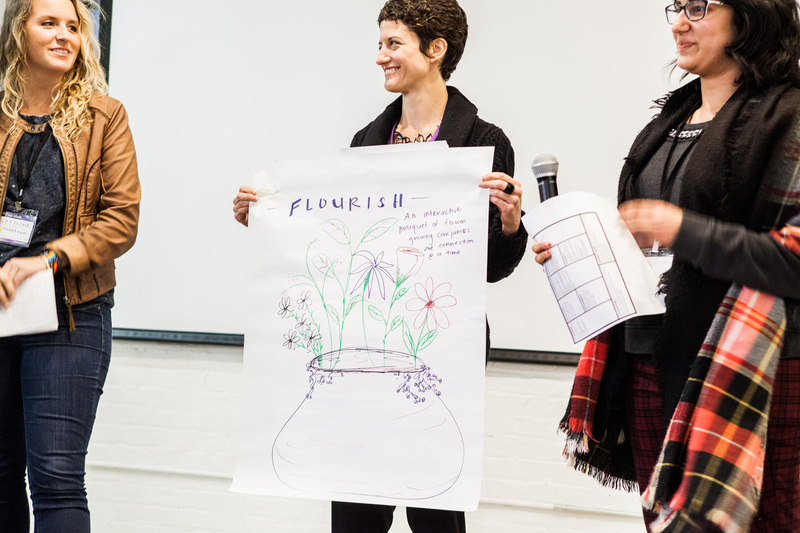 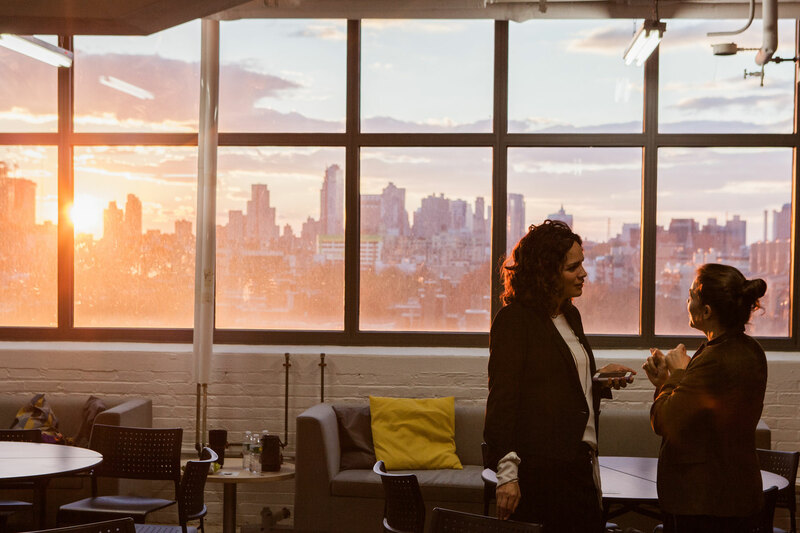 Pioneer Mode brings together a like-minded community and empowers them with actionable knowledge, new skills and vocabulary, and the relationships to help support and cultivate new systems of change. 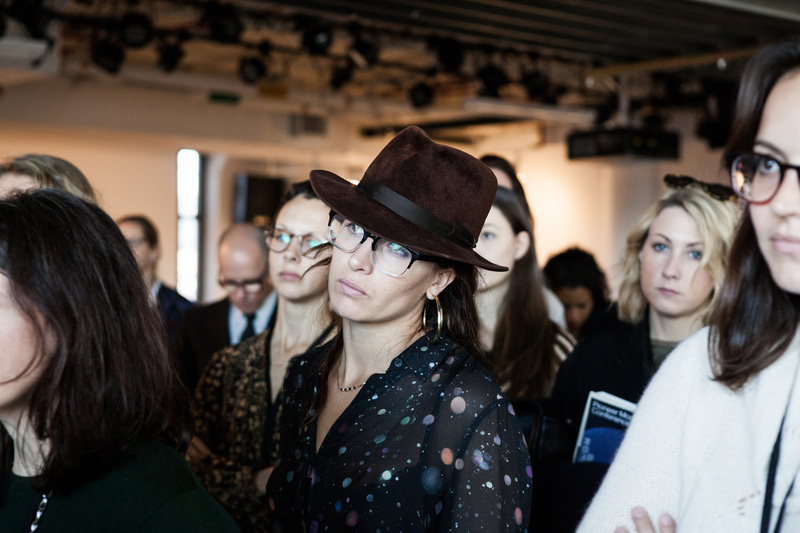 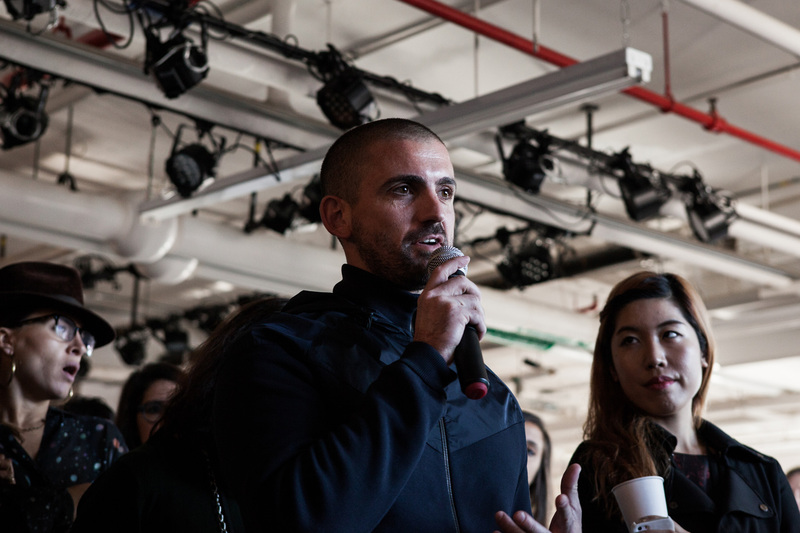 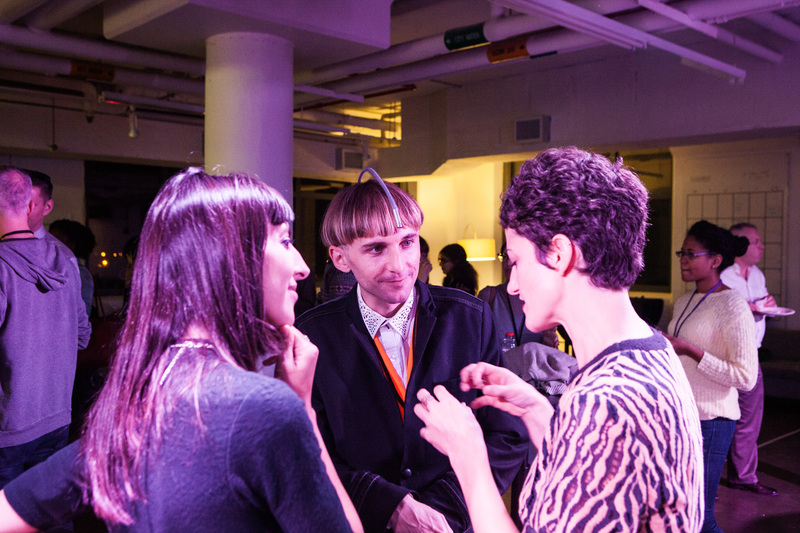 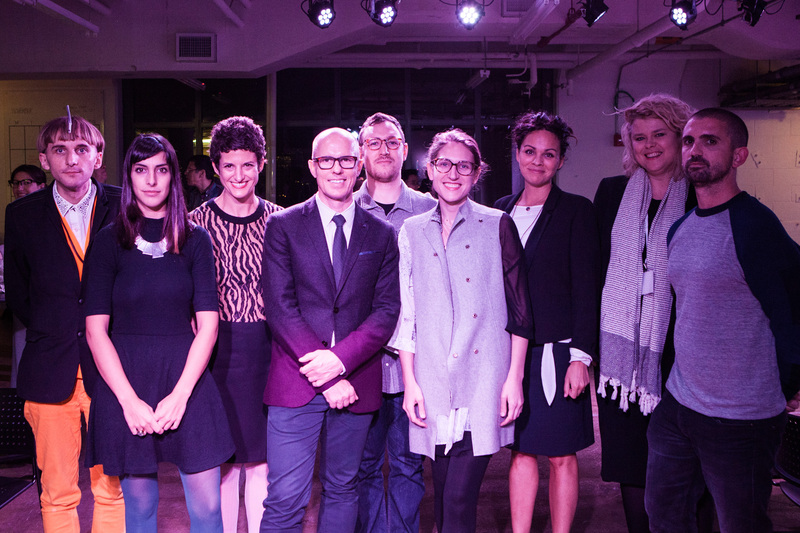 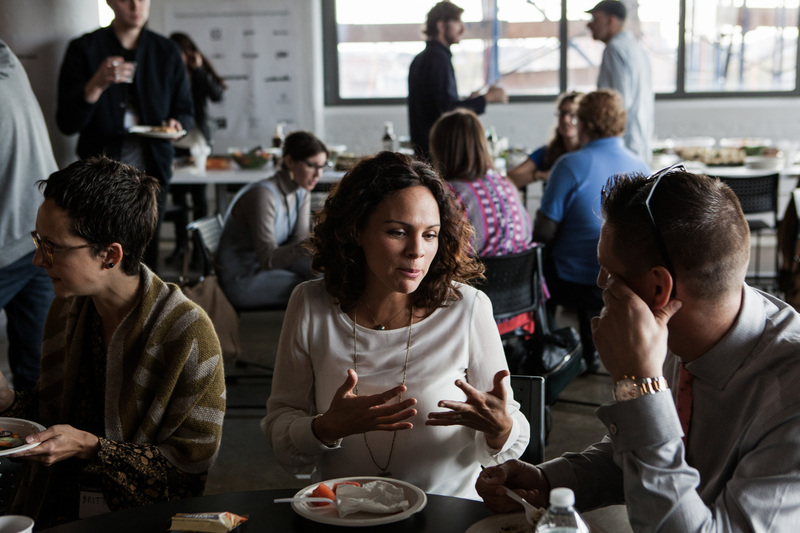 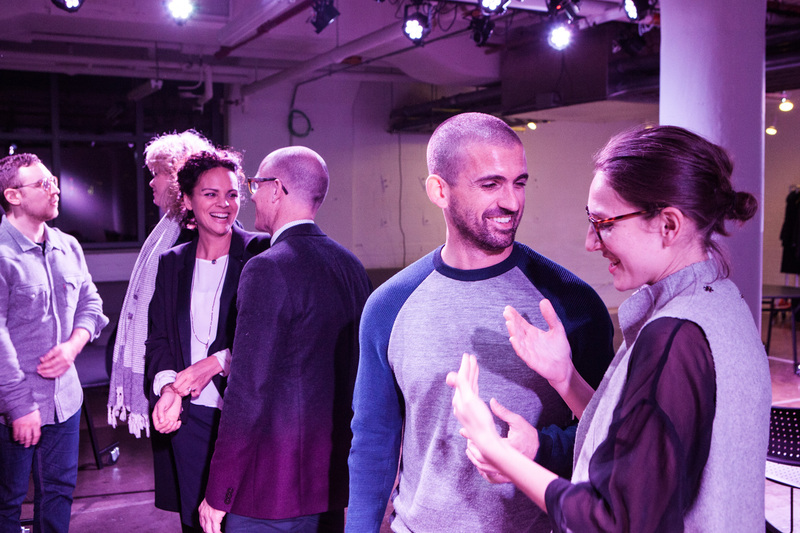 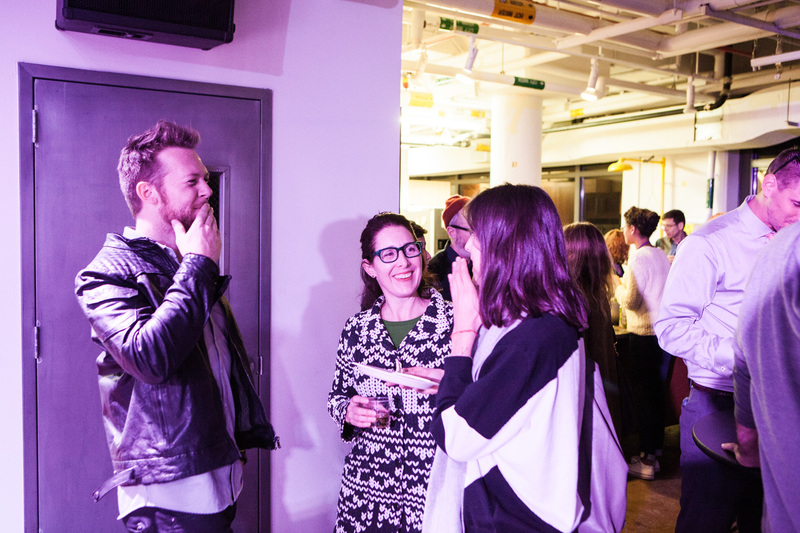 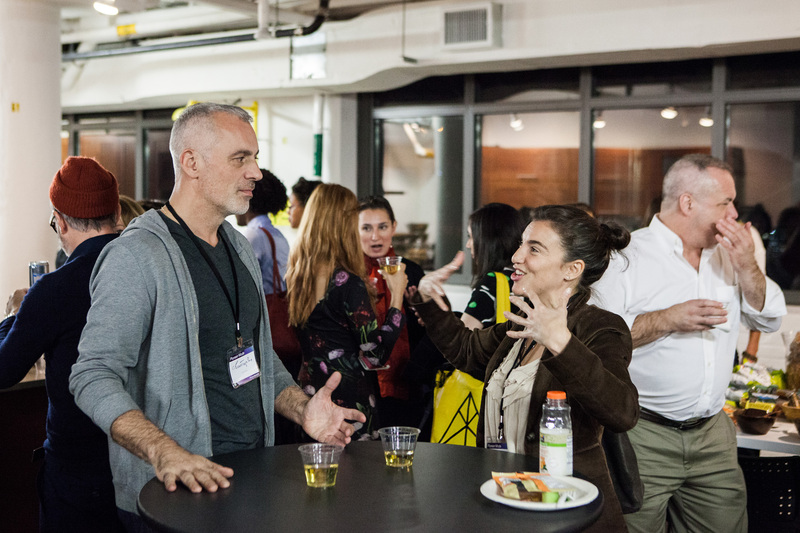 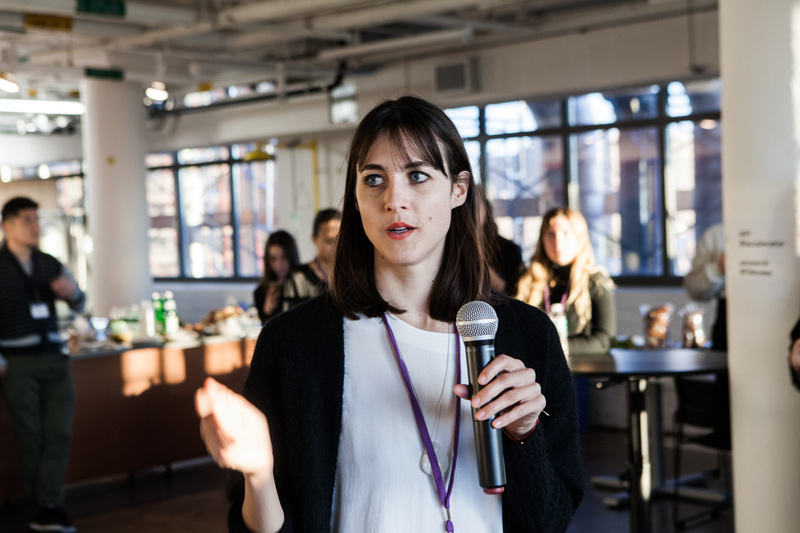 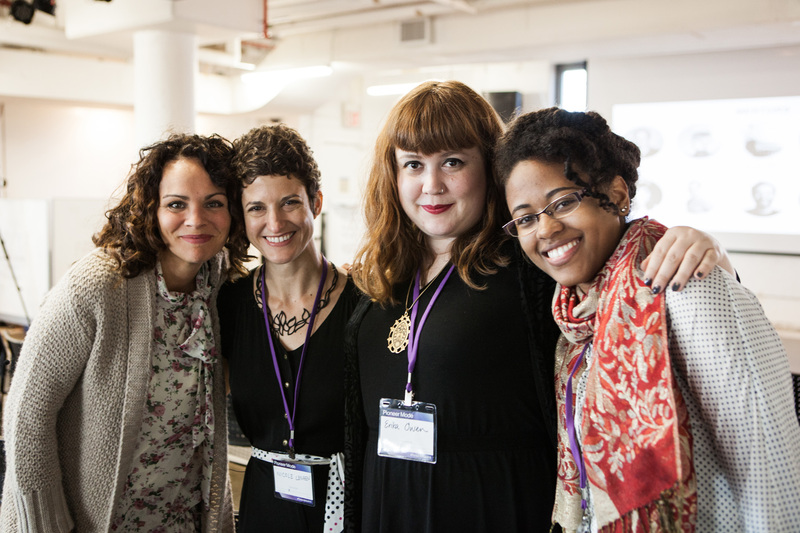 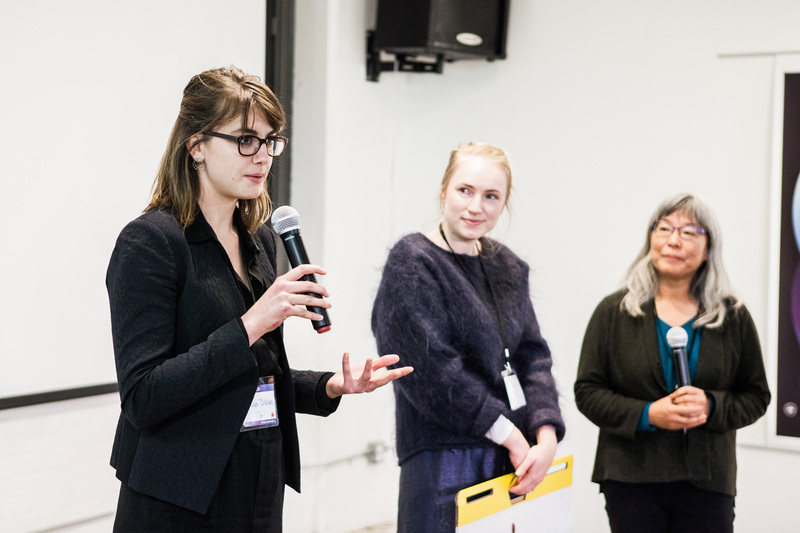 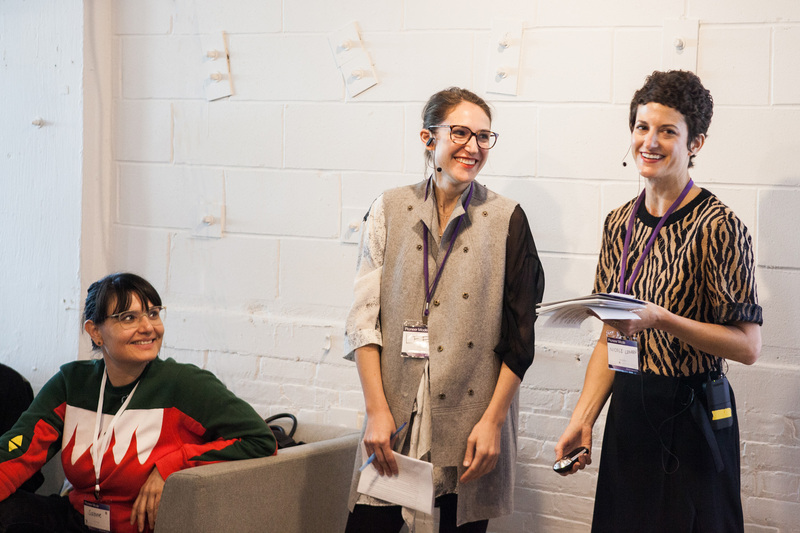 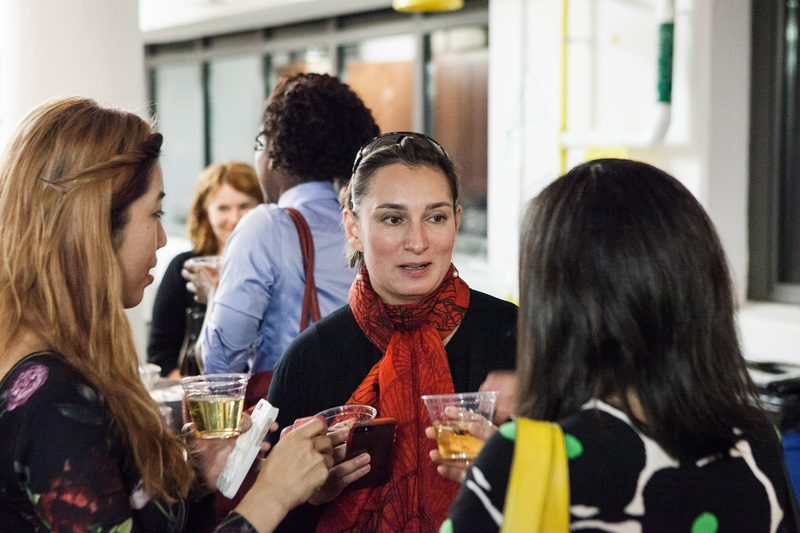 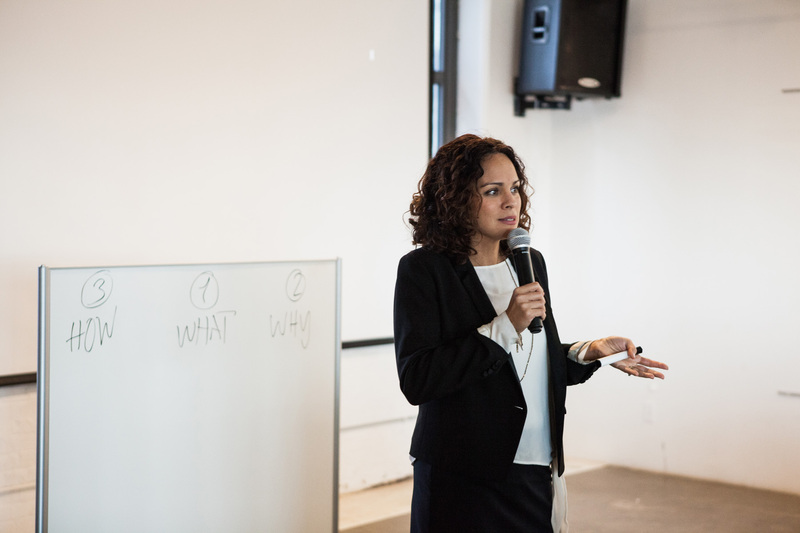 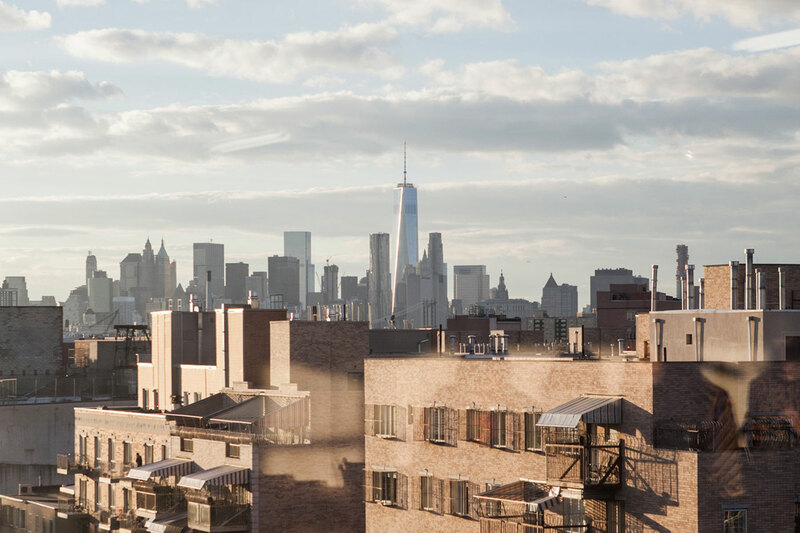 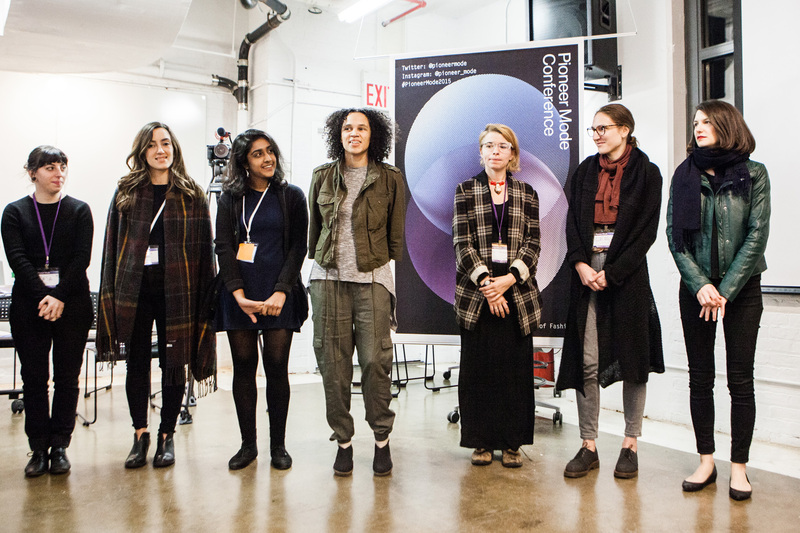 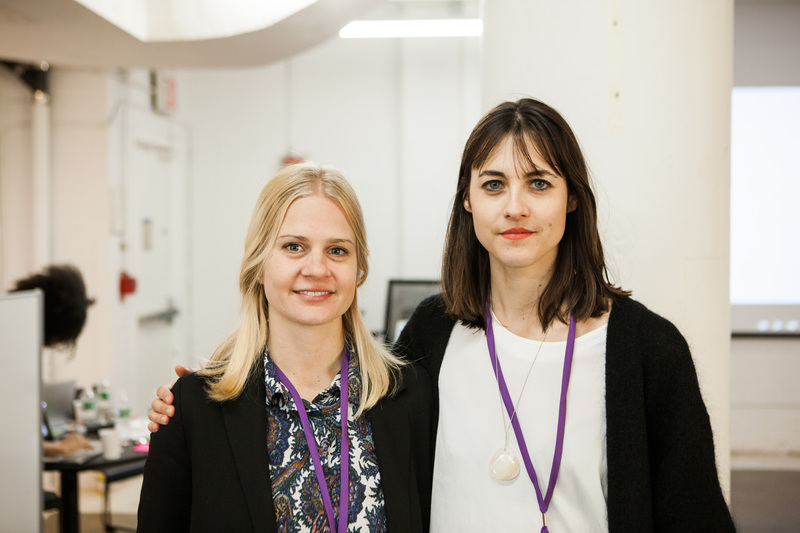 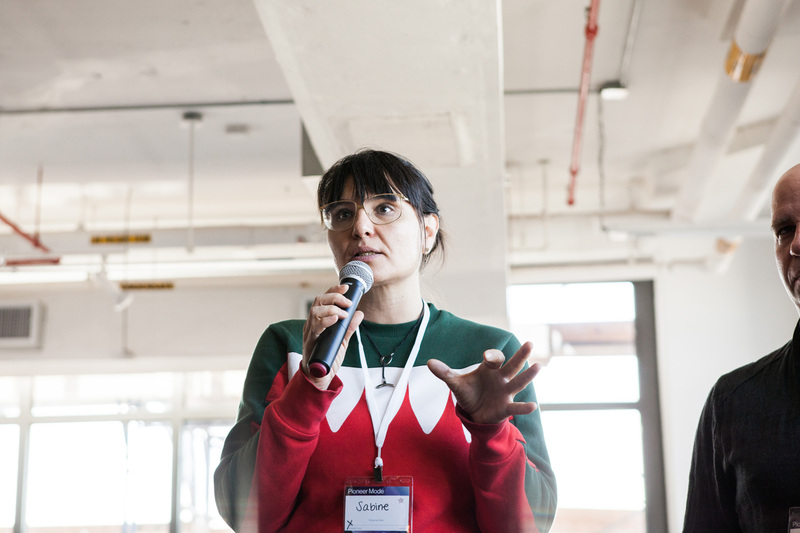 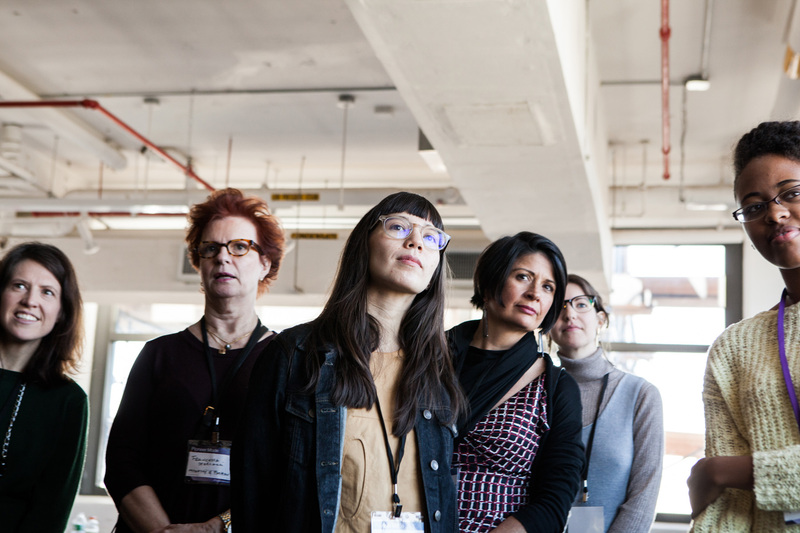 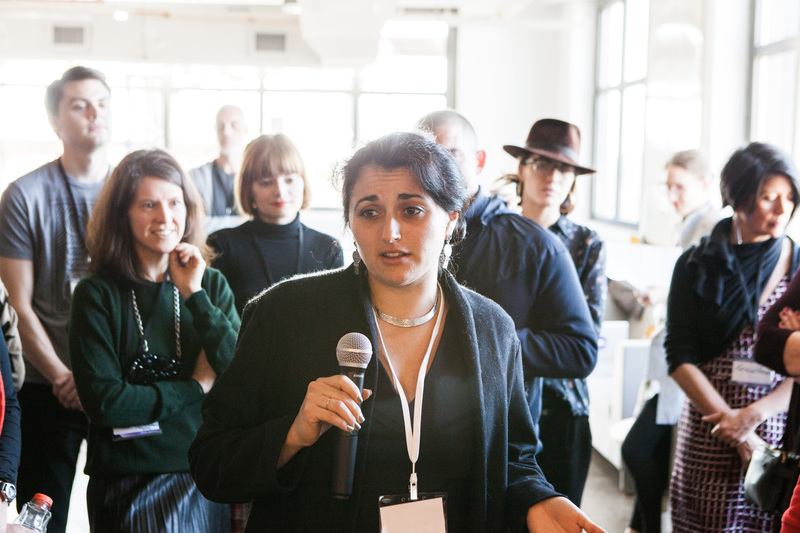 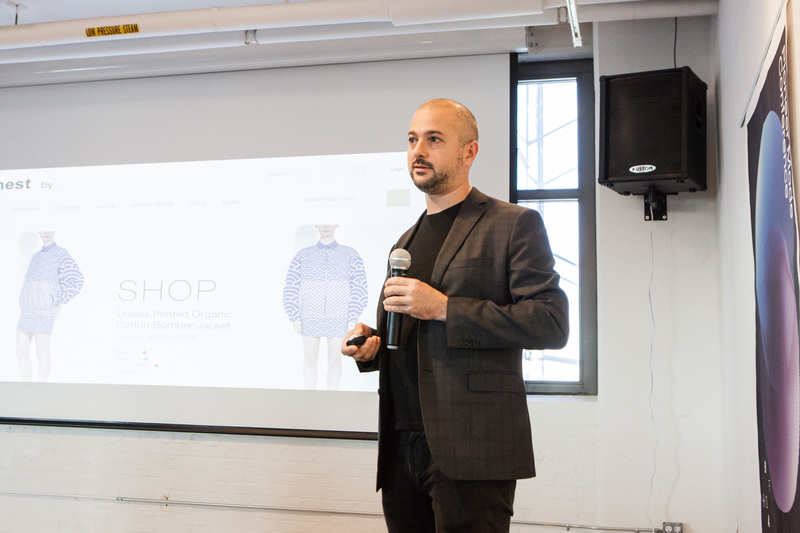 We hosted the event at the ethical fashion hub, the Brooklyn Fashion + Design Accelerator, and brought together an esteemed group of designers, entrepreneurs, and educators. 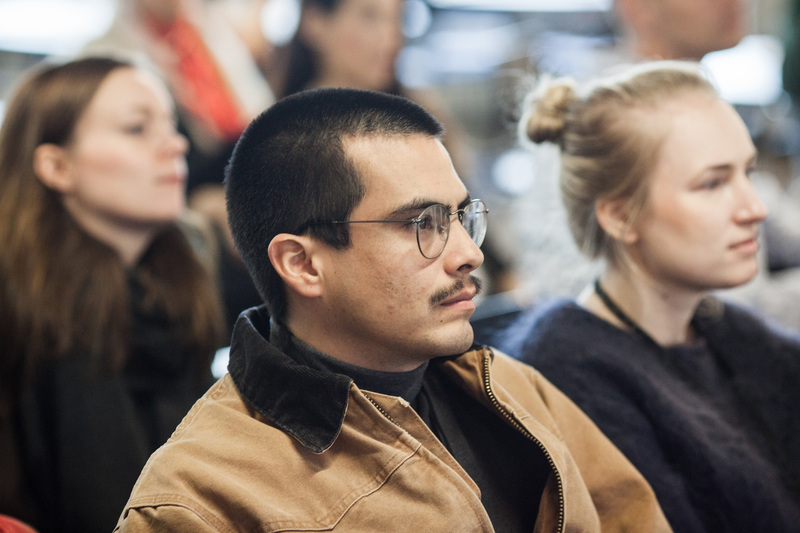 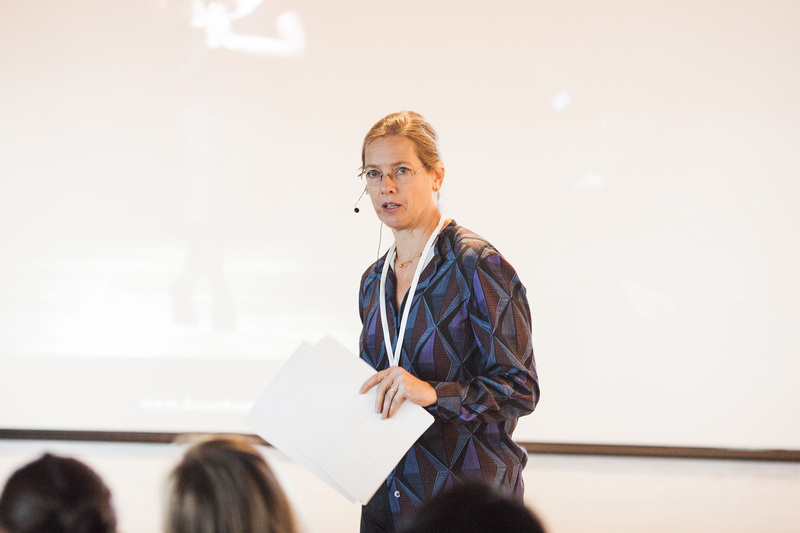 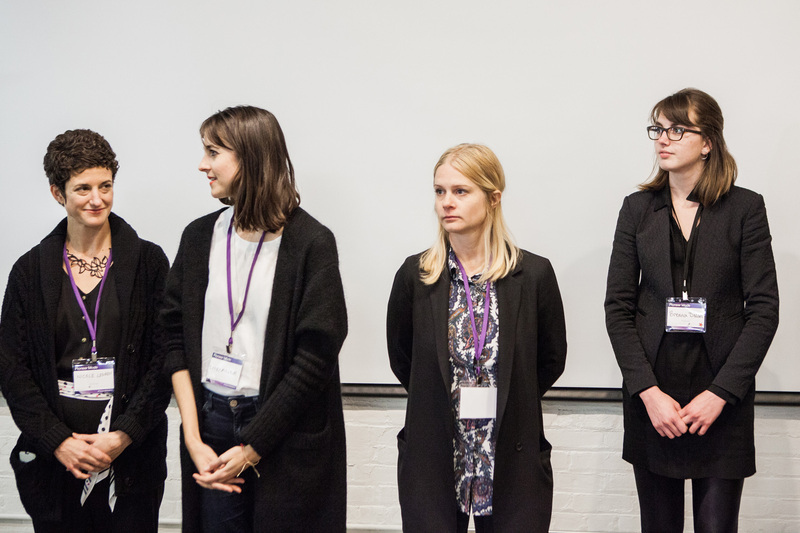 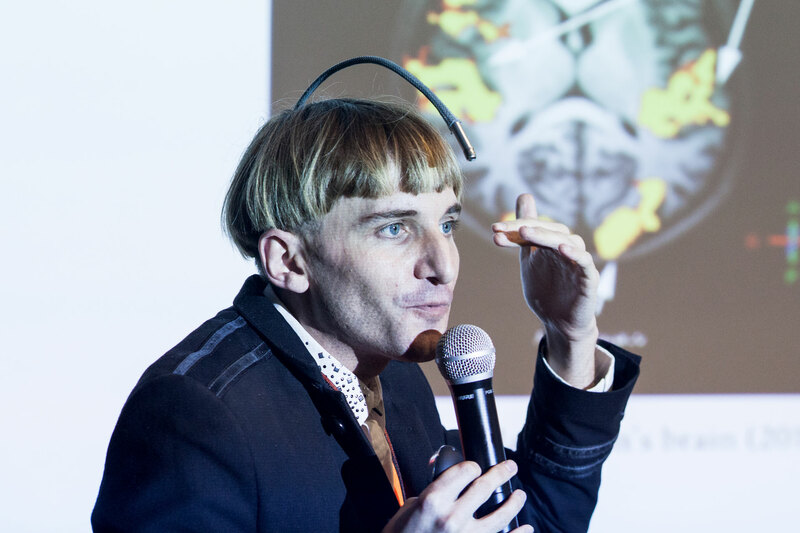 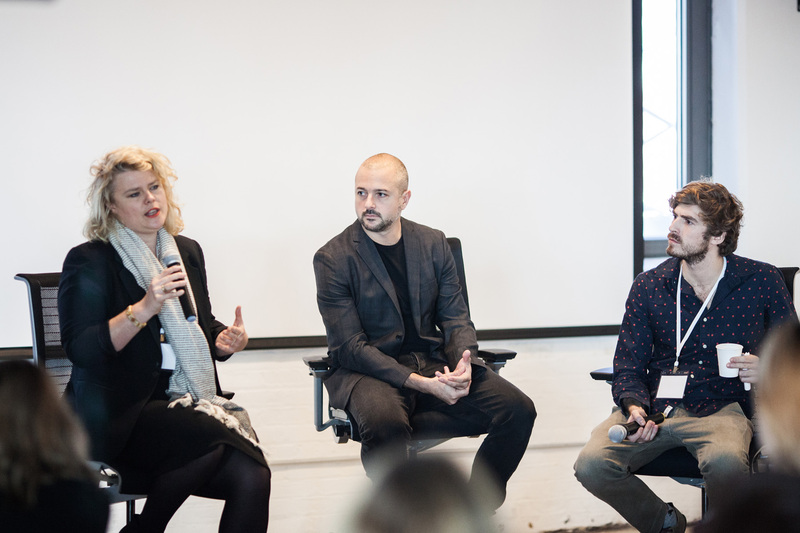 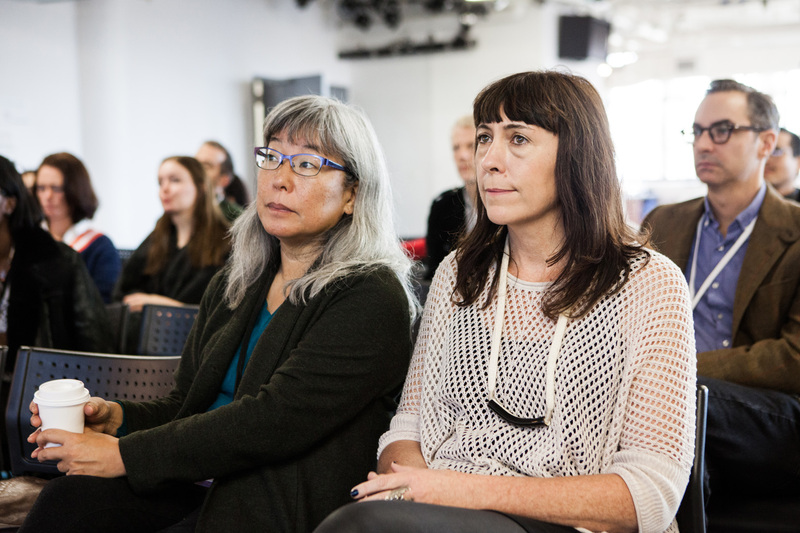 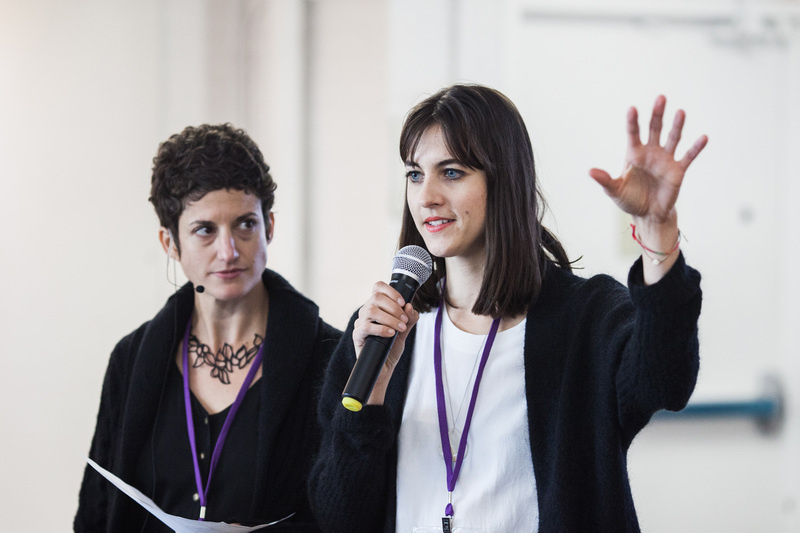 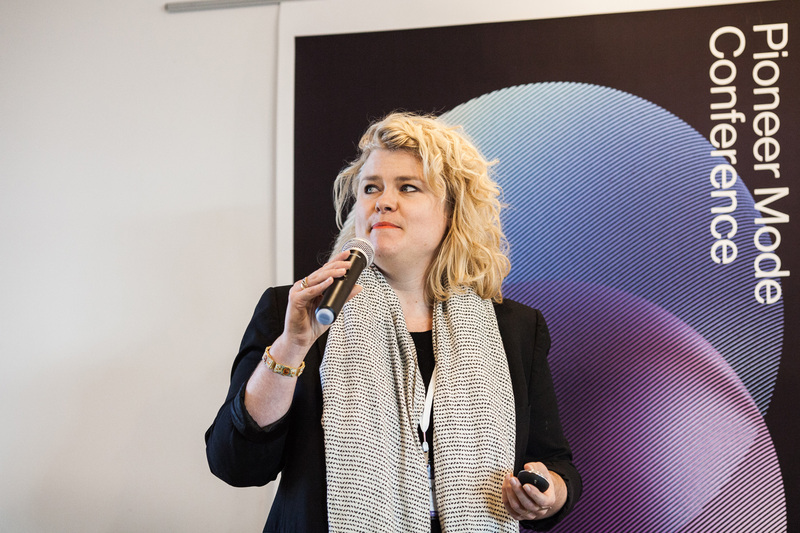 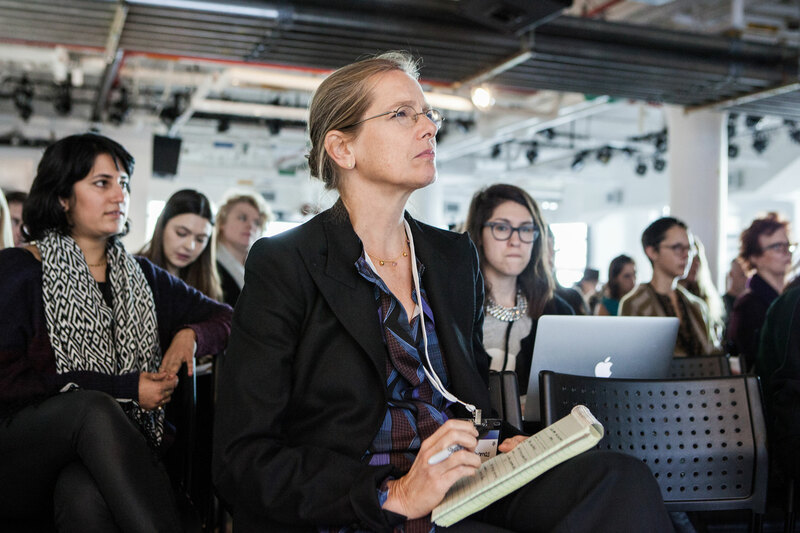 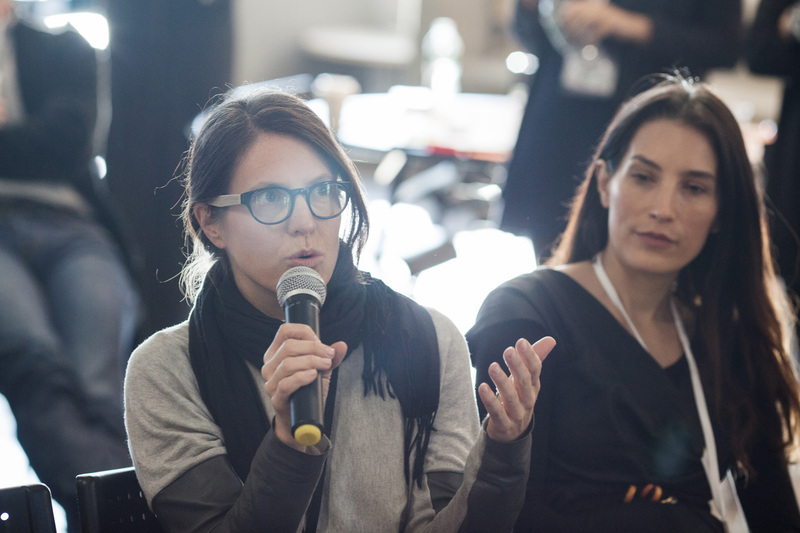 Keynote speakers delved into the global ethical implications and economic considerations of fashion, presented innovative approaches to sustainability, provided tools for affecting positive change, and considered insights into the future of fashion technology. 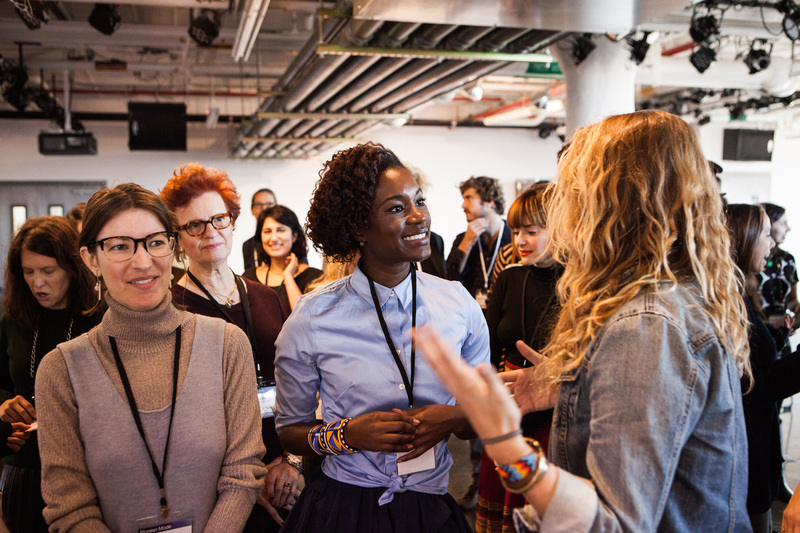 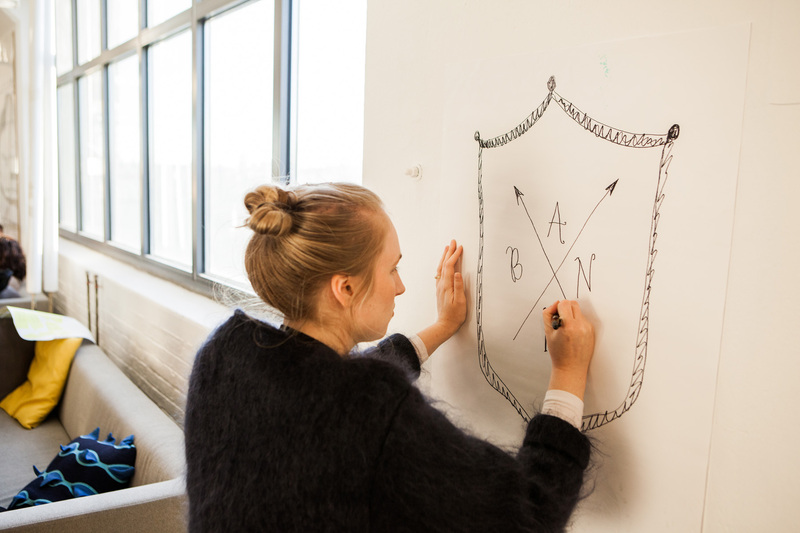 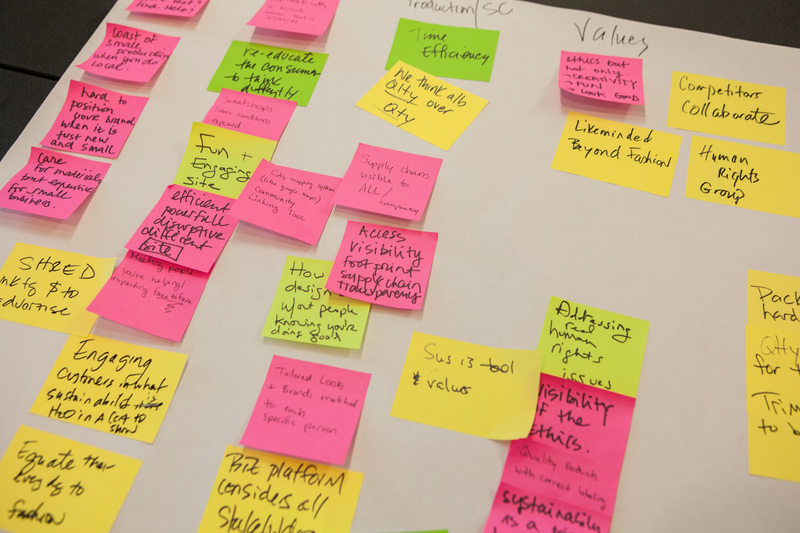 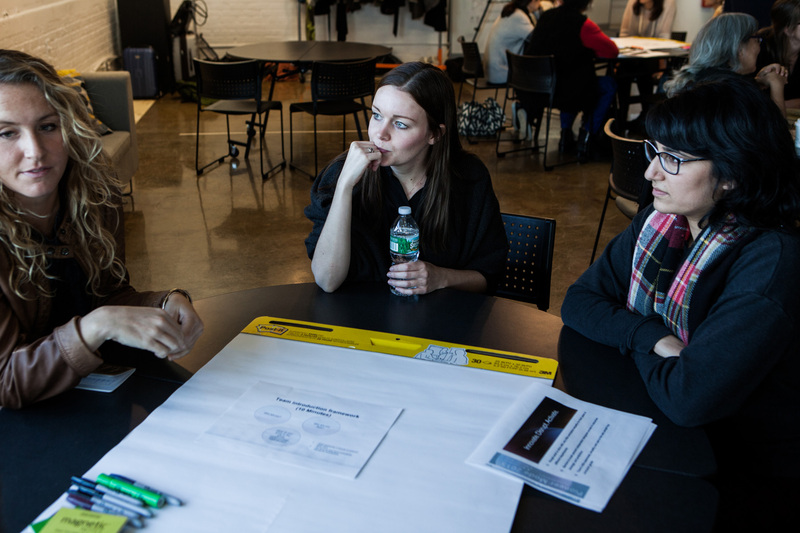 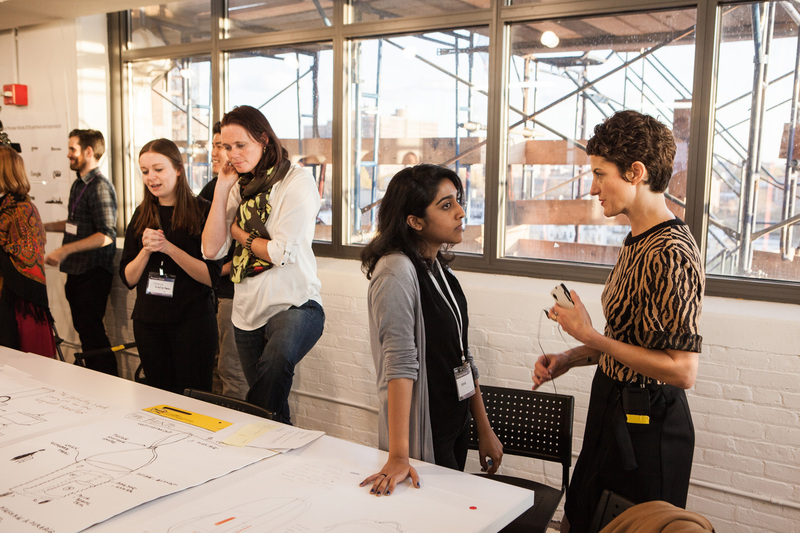 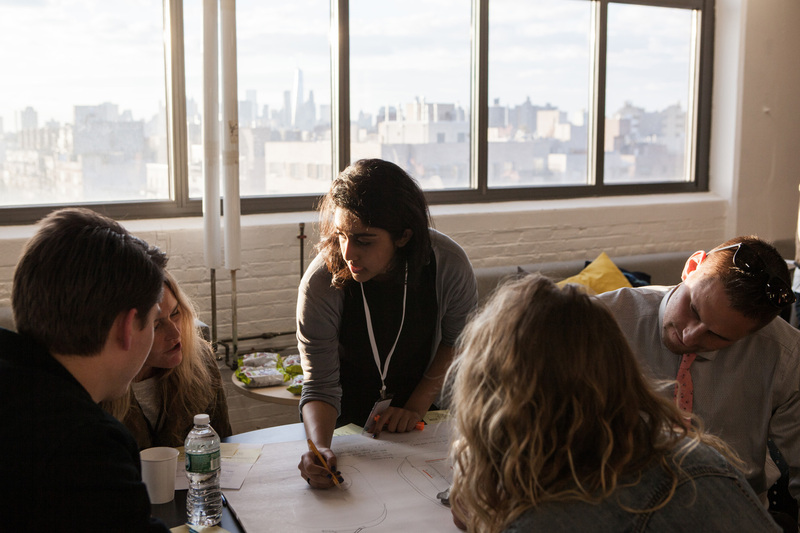 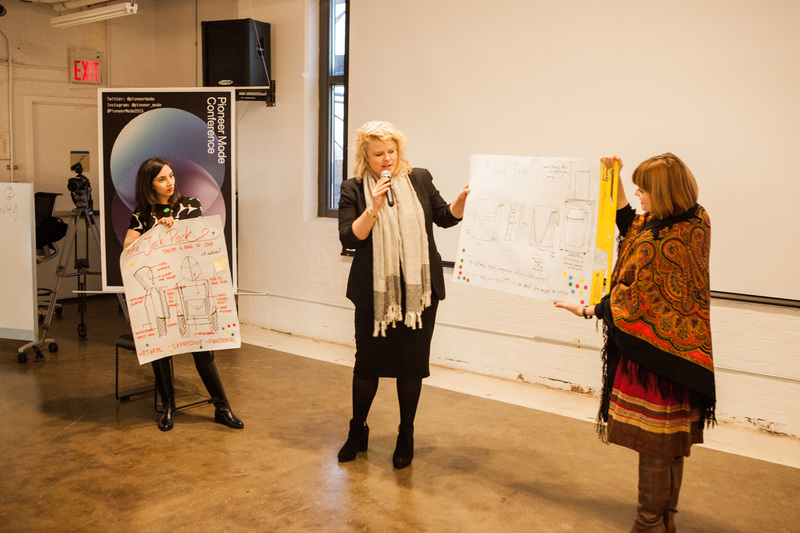 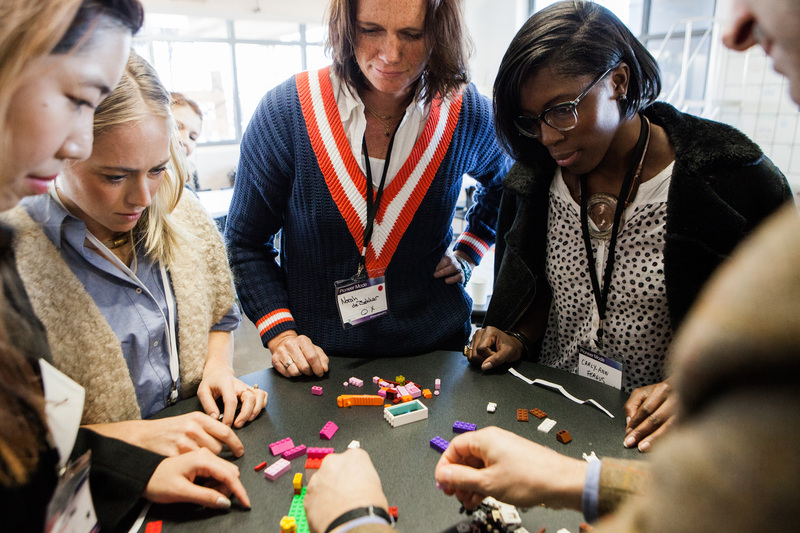 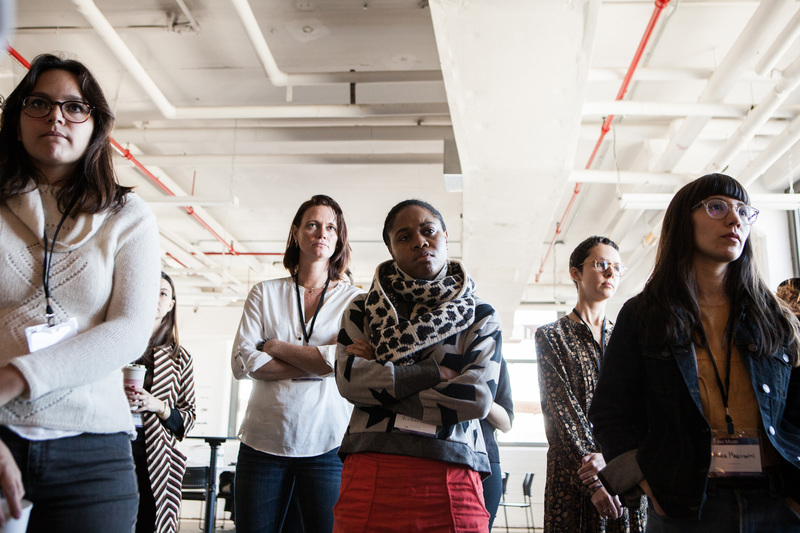 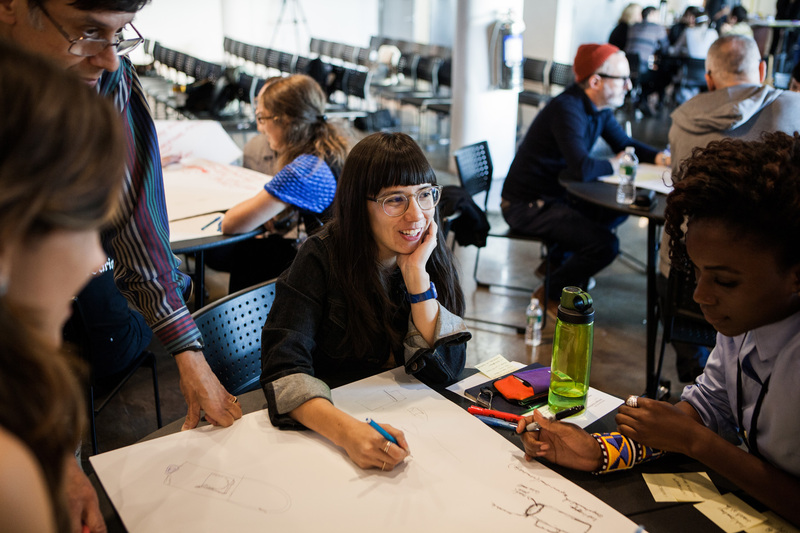 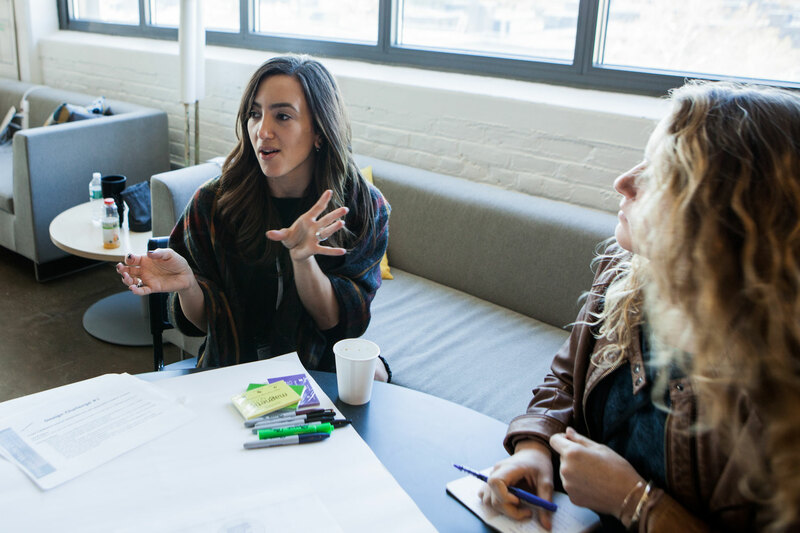 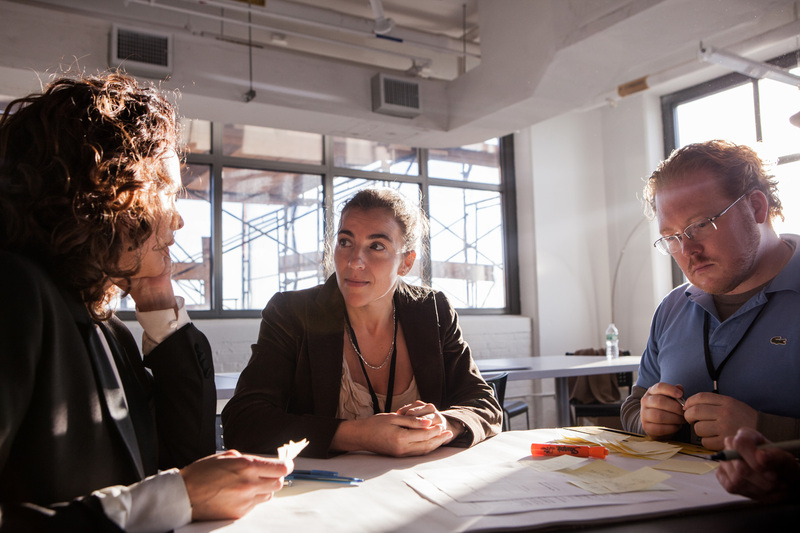 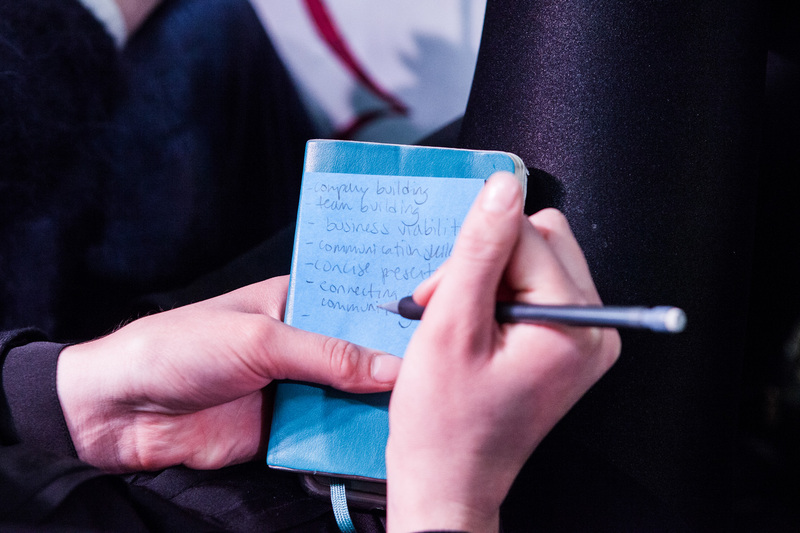 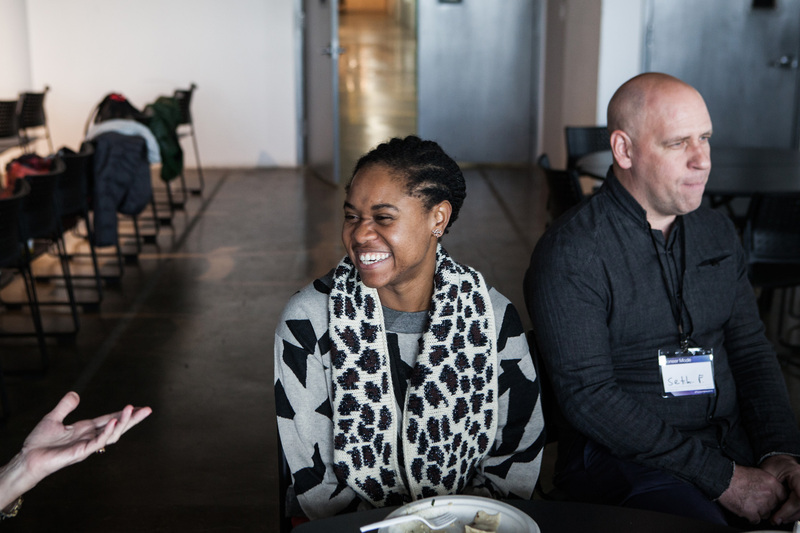 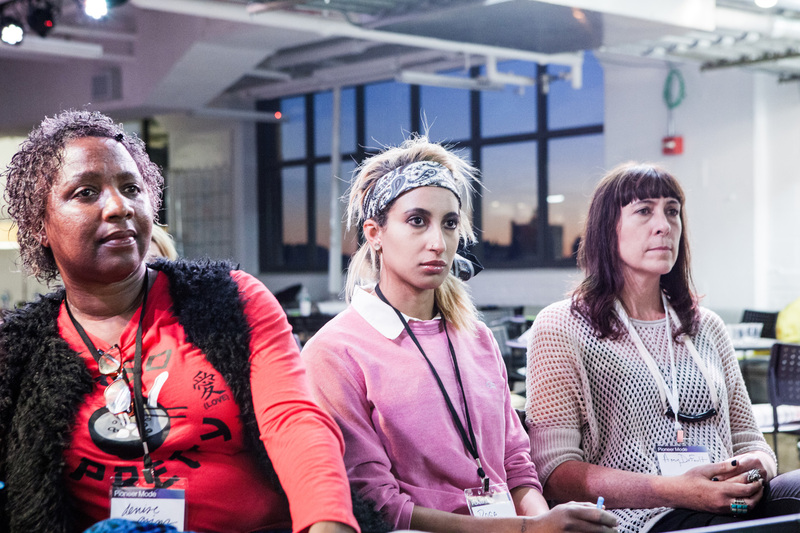 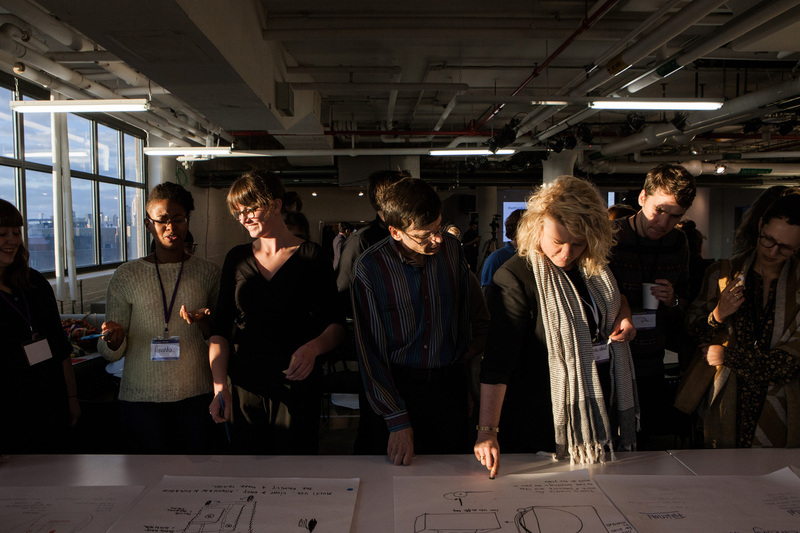 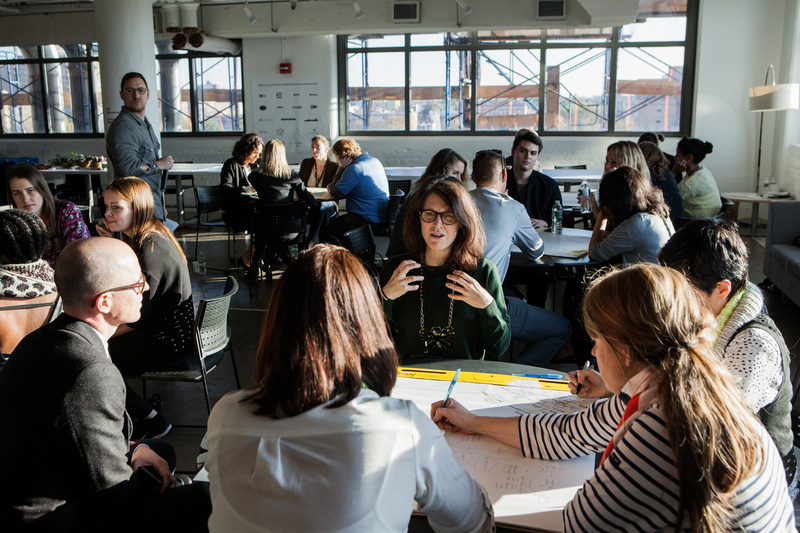 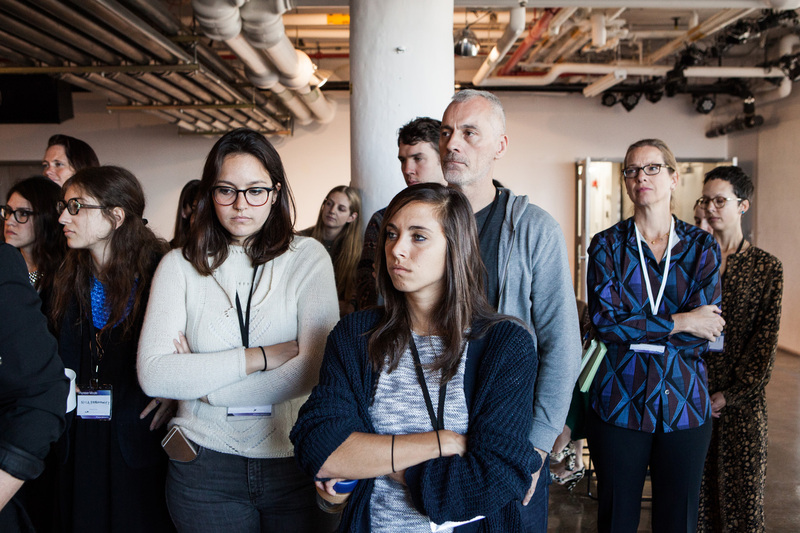 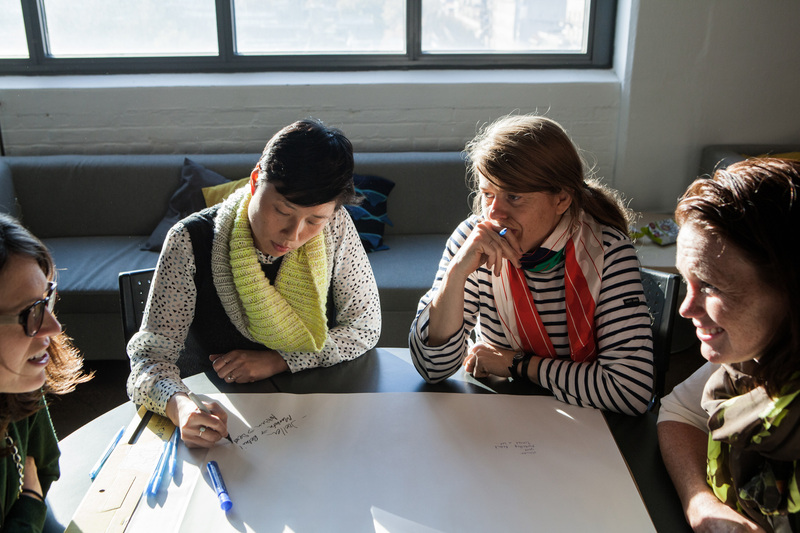 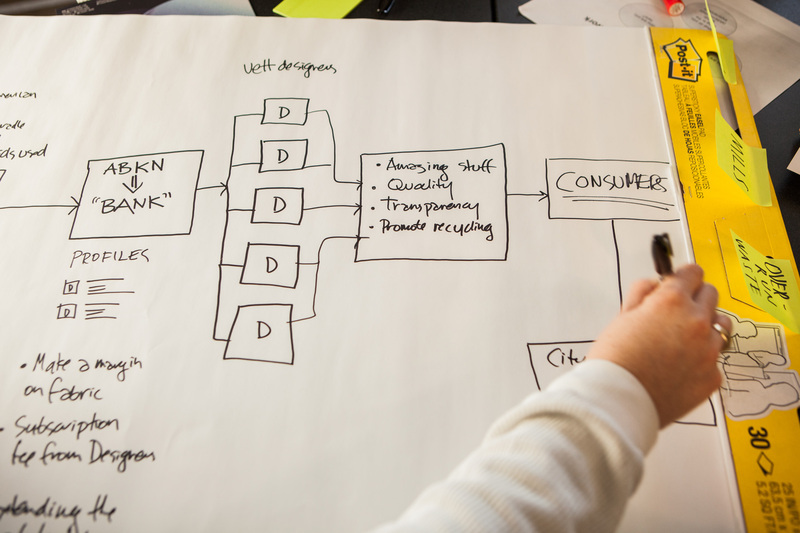 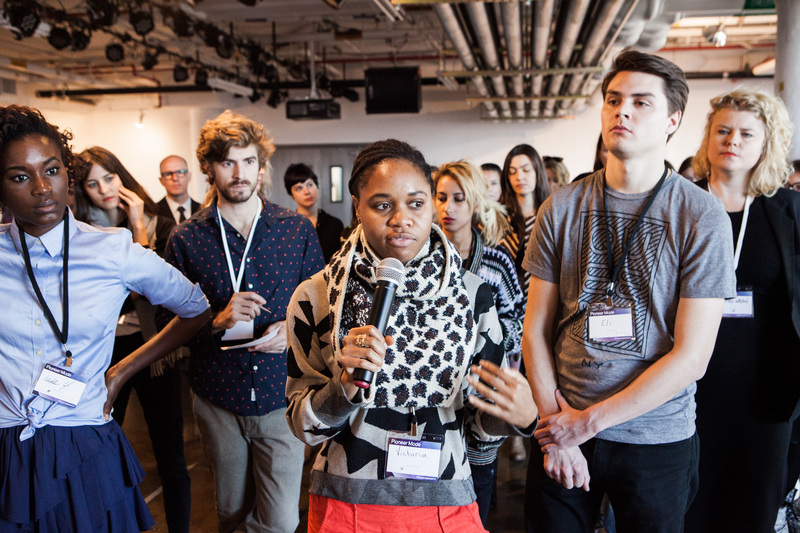 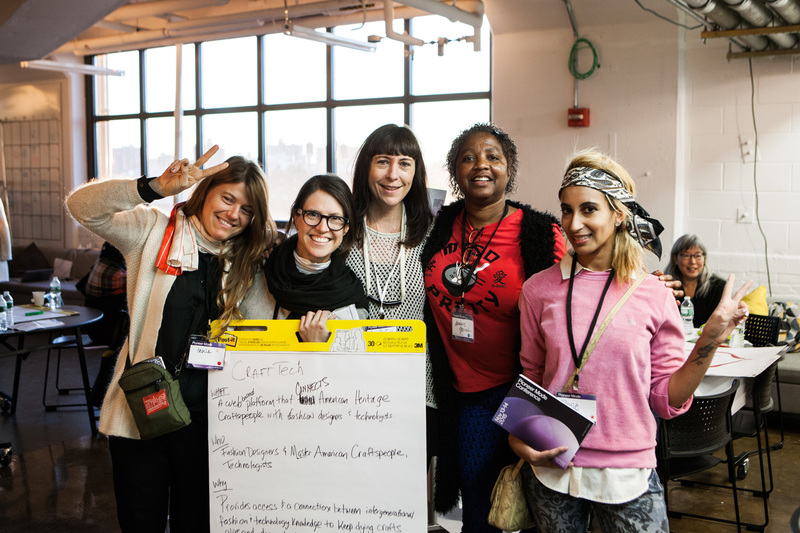 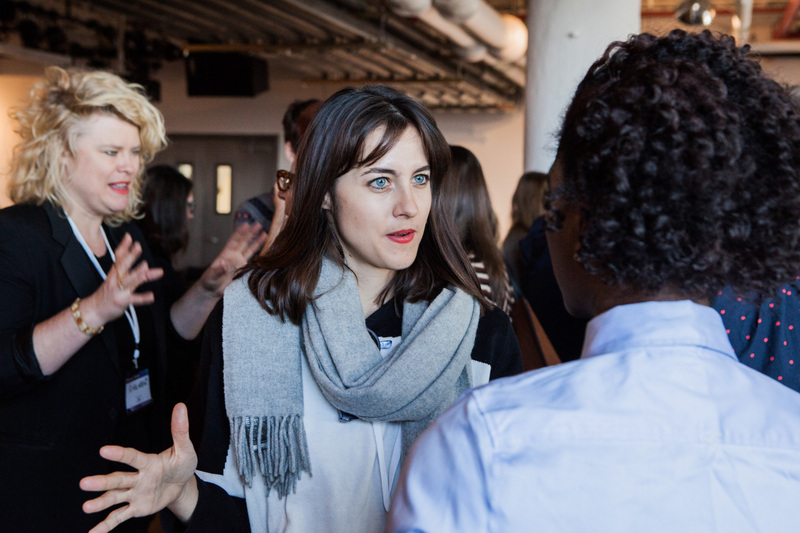 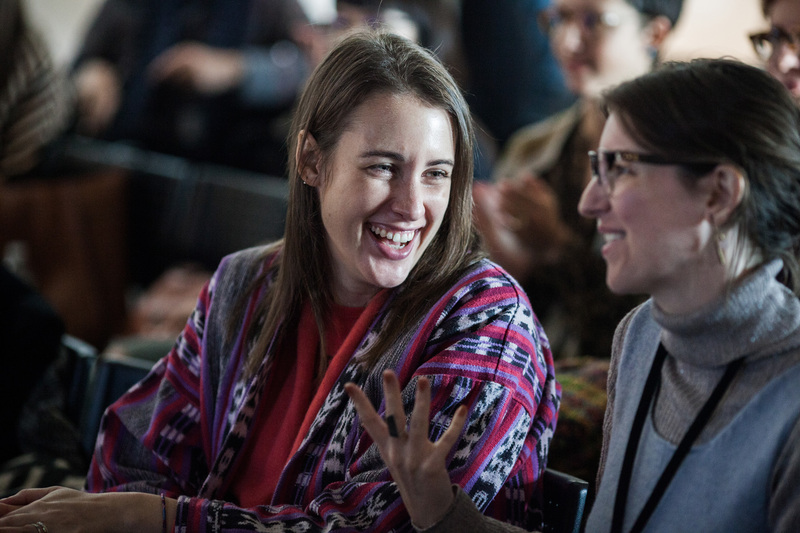 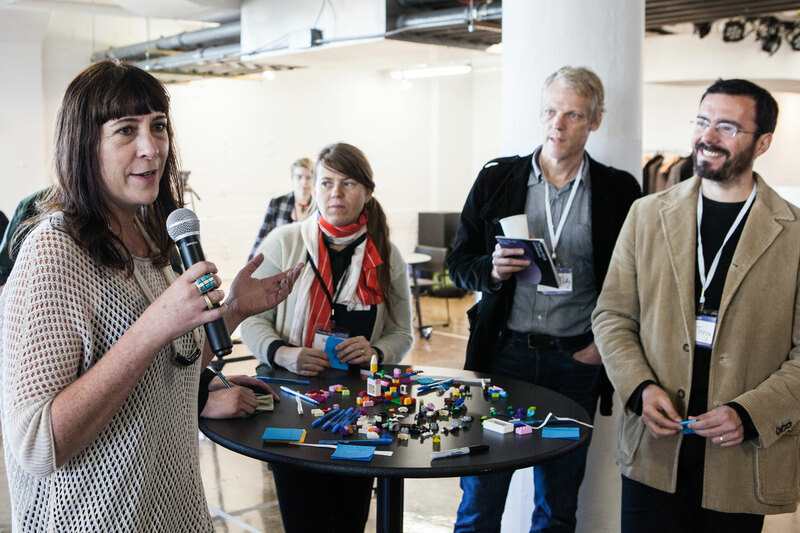 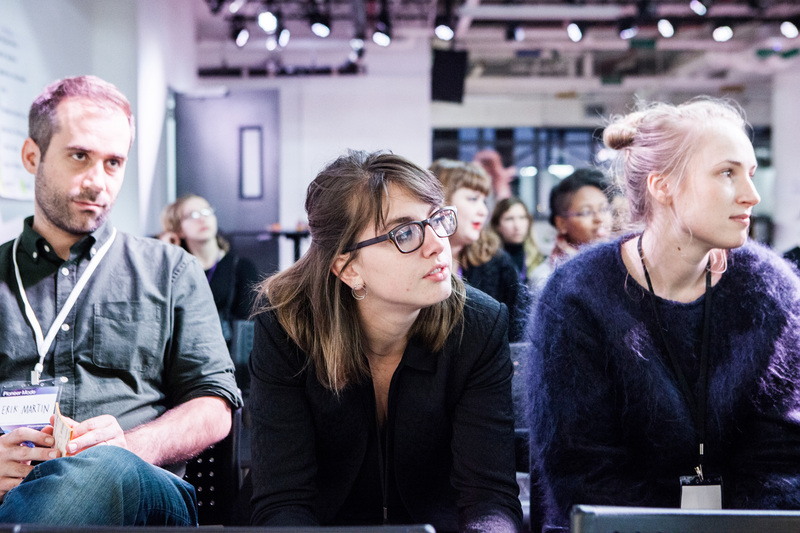 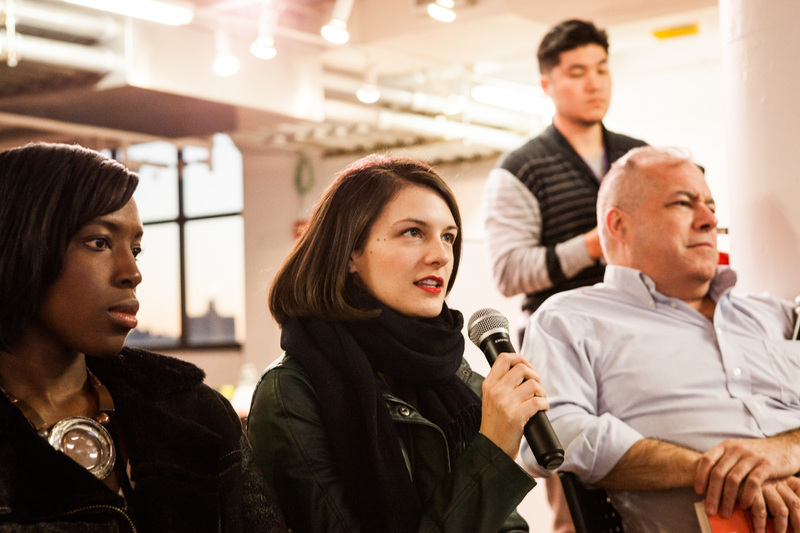 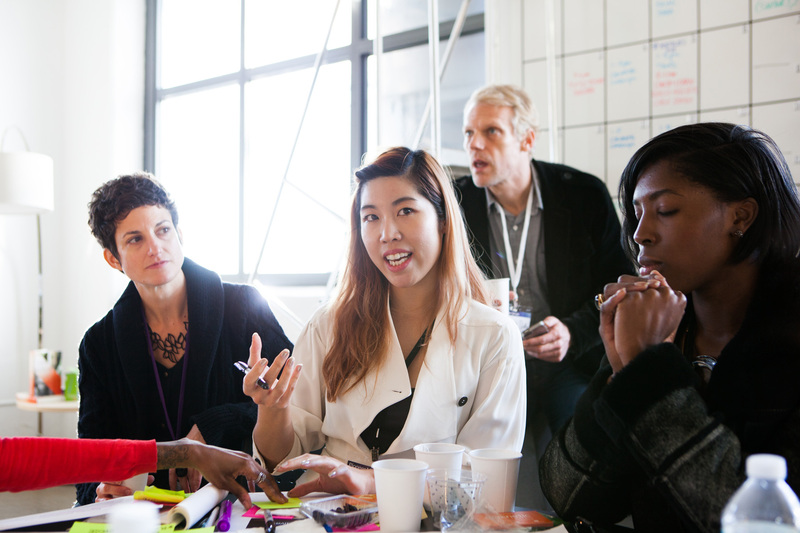 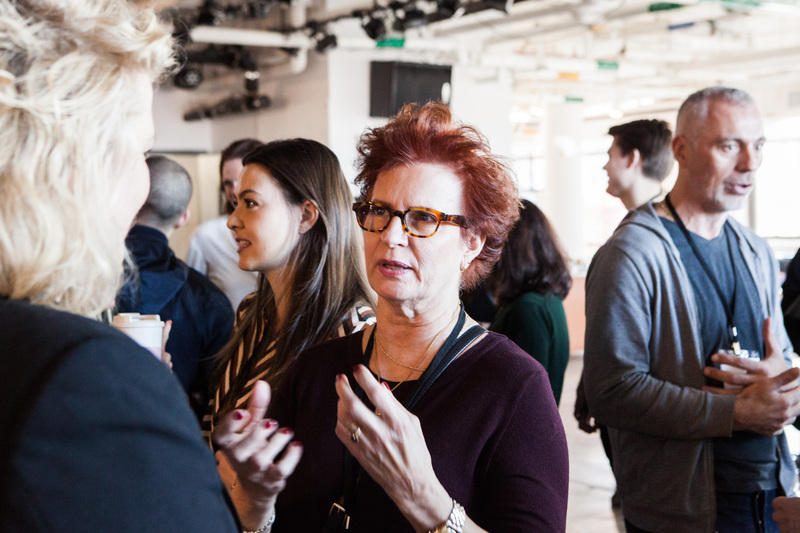 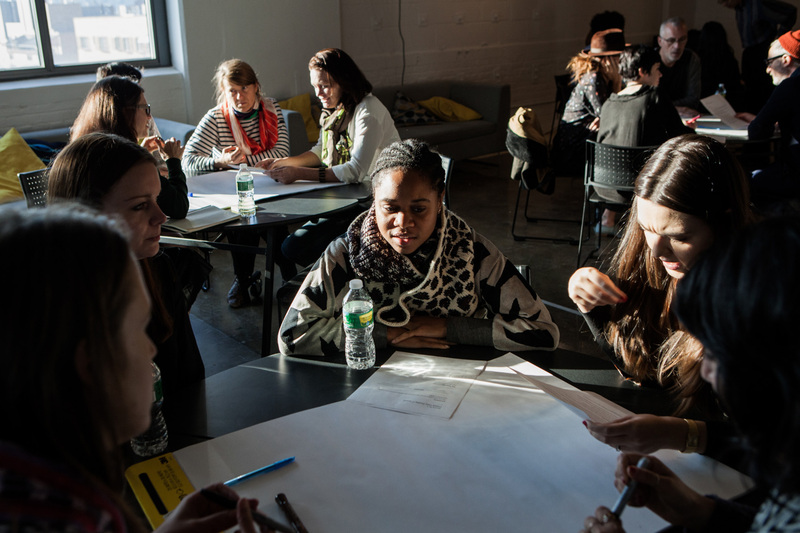 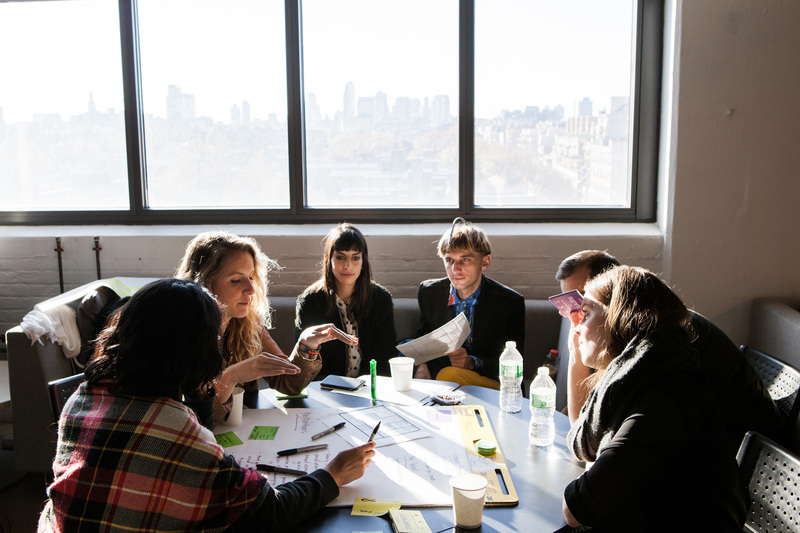 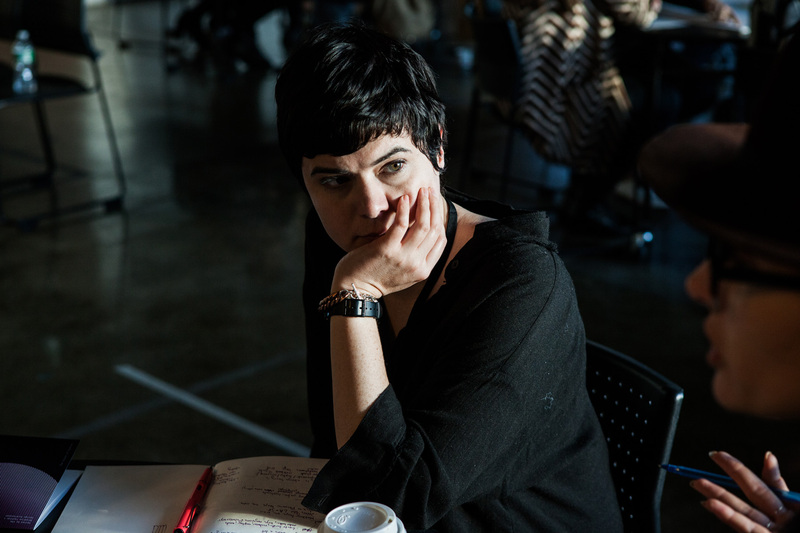 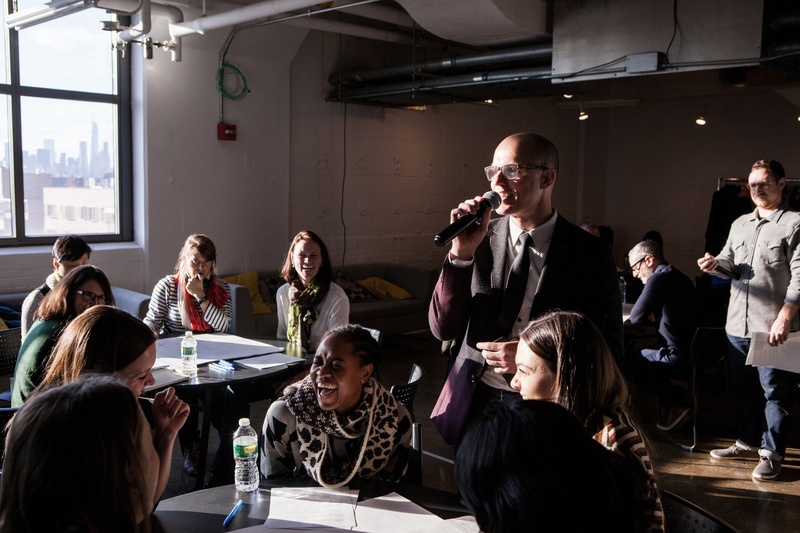 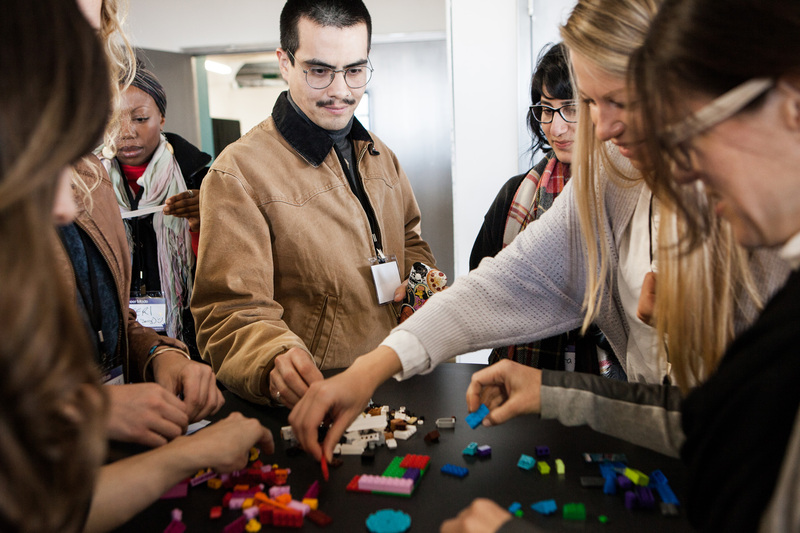 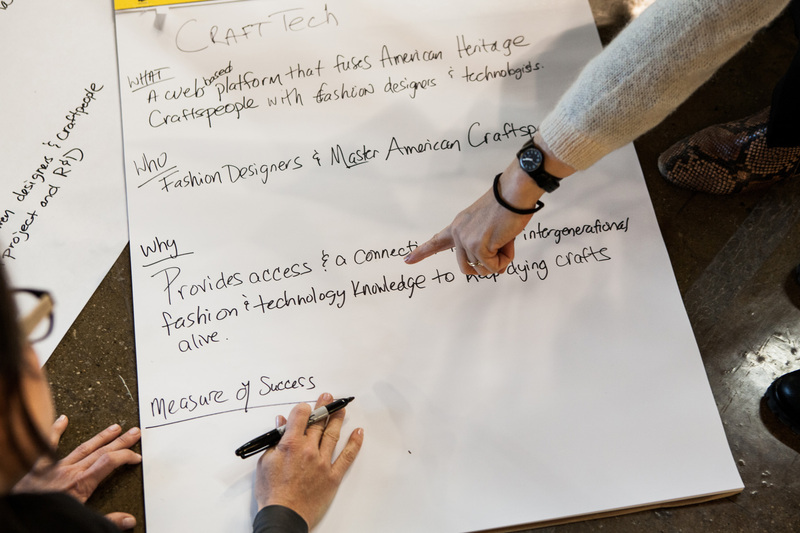 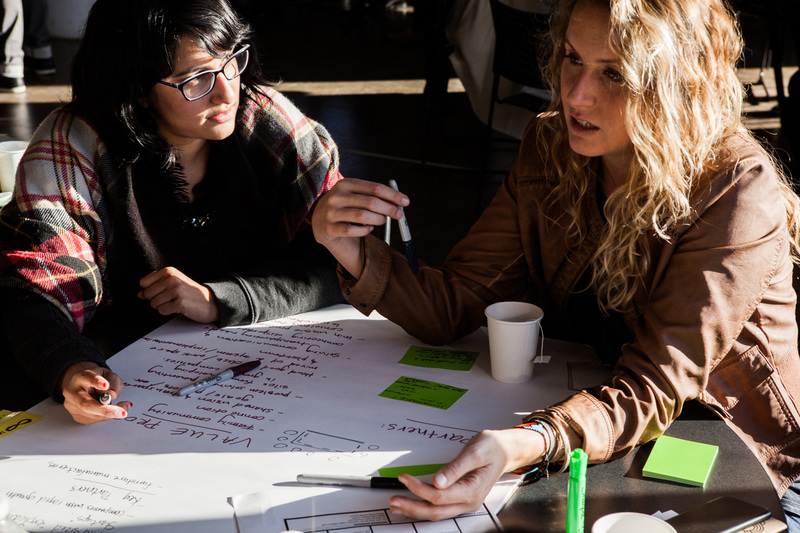 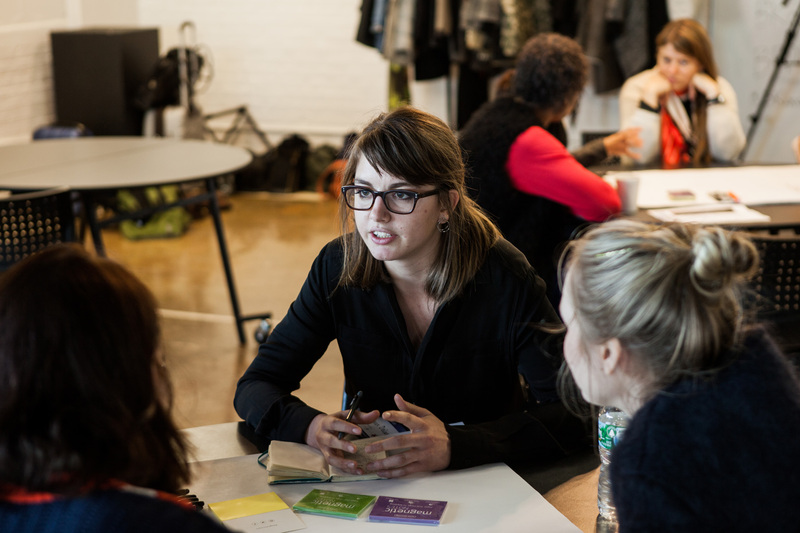 We partnered with Google, IDEO, and 30 Weeks to deliver design thinking workshops to teach empathy-driven design methodologies and address real issues within the fashion industry. 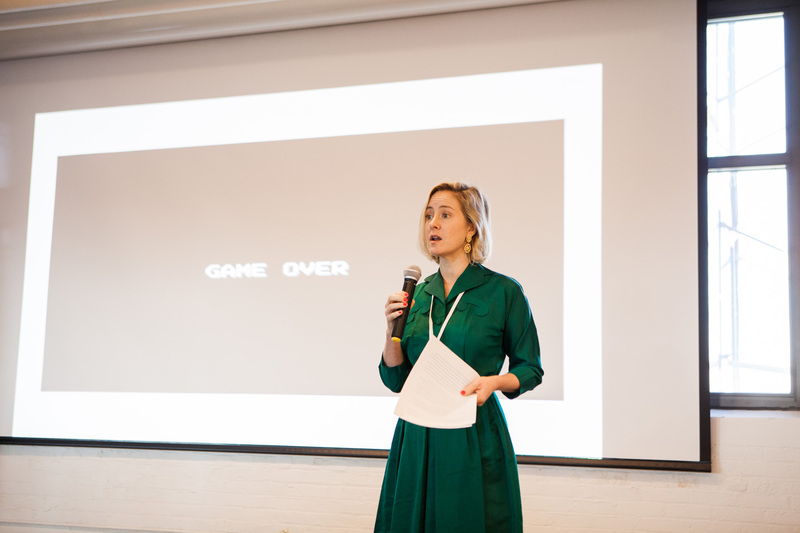 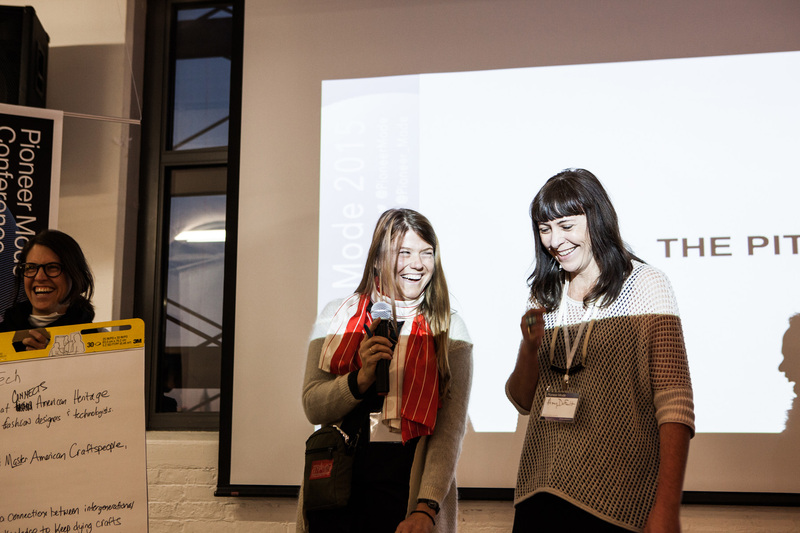 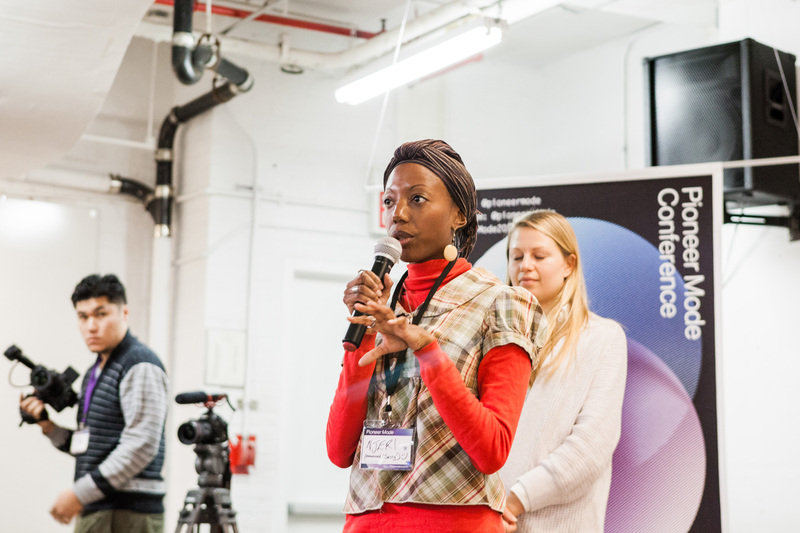 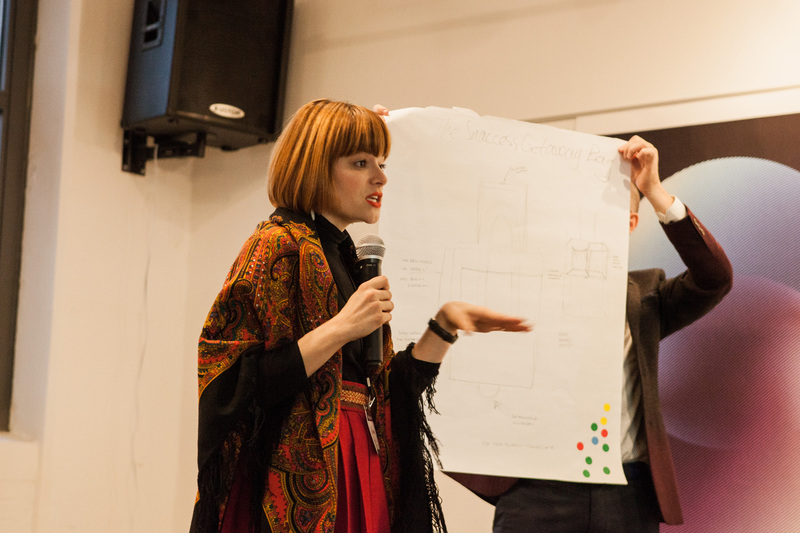 “What an engaging and inspiring weekend I spent with sustainable fashion innovators at Pioneer Mode. 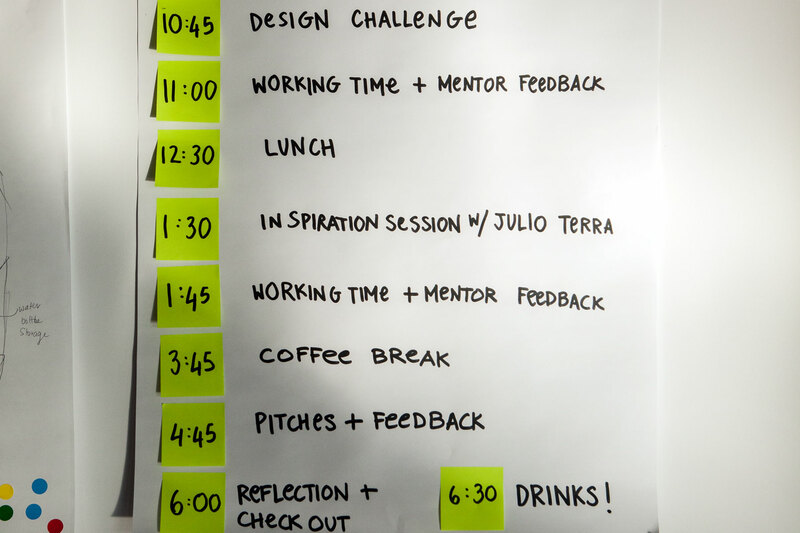 This is one of the best conferences I've ever been to! 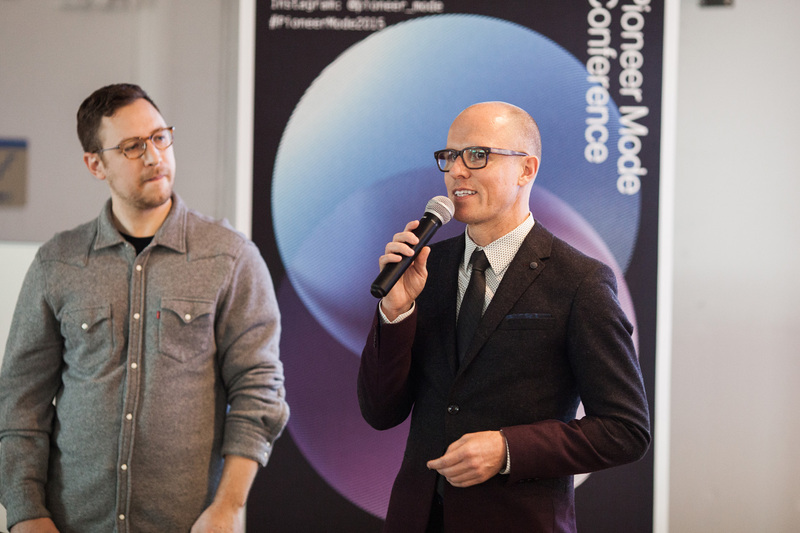 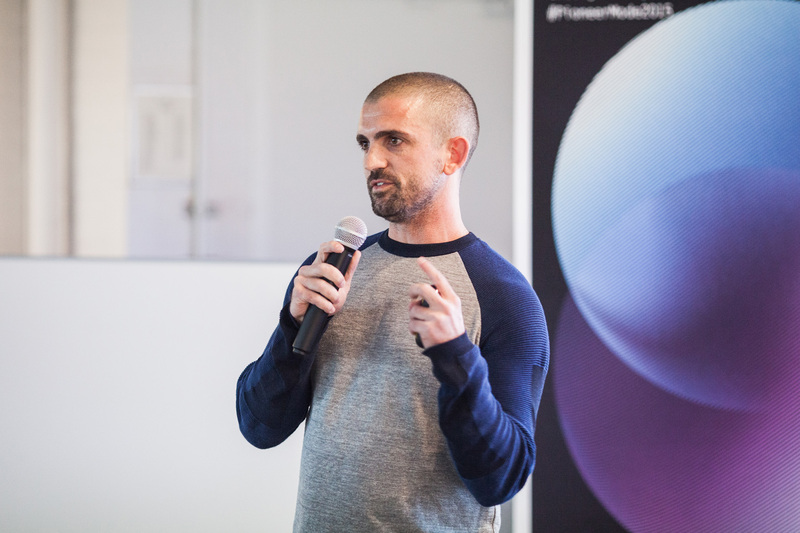 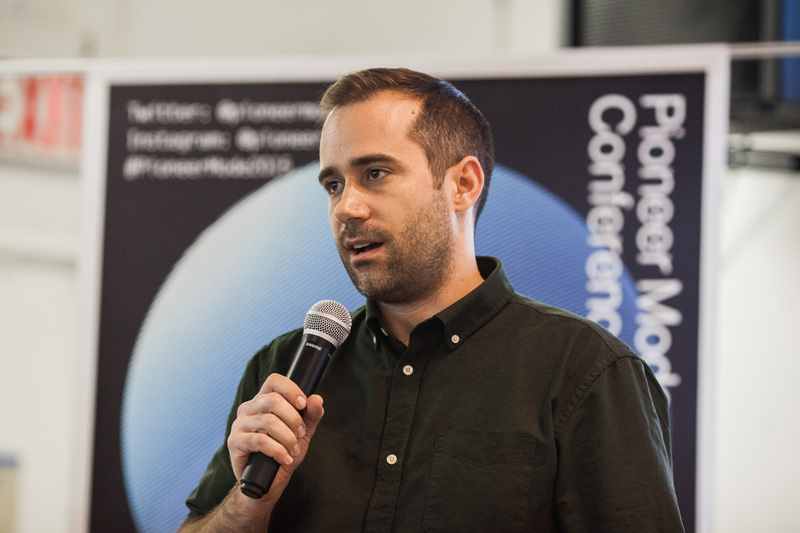 The team at Pioneer Mode lined up thought-provoking speakers and balanced the day with energizing activities that broke down barriers and fostered meaningful connections. 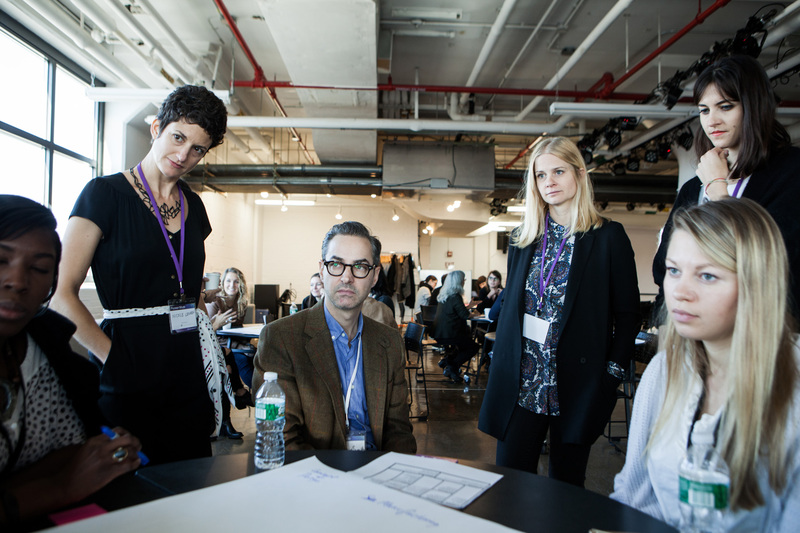 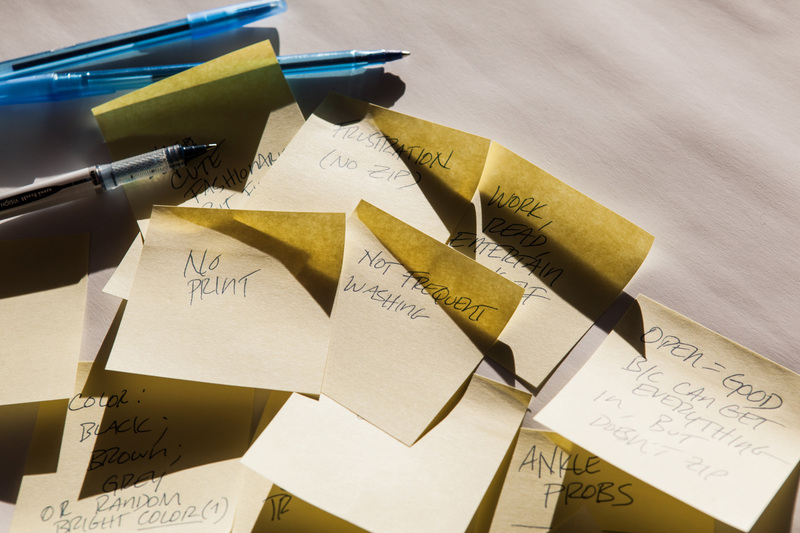 We partnered with IDEO to prototype a toolkit for Creative Tensions, which was created in collaboration with the Sundance Institute. 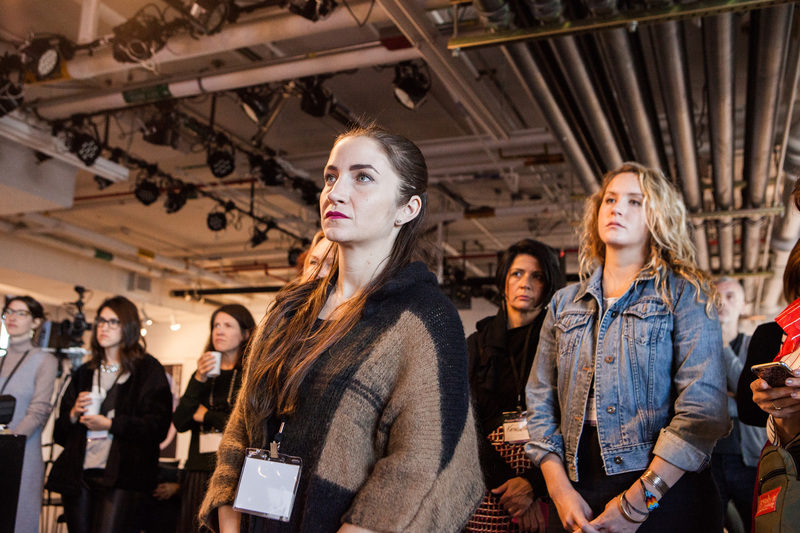 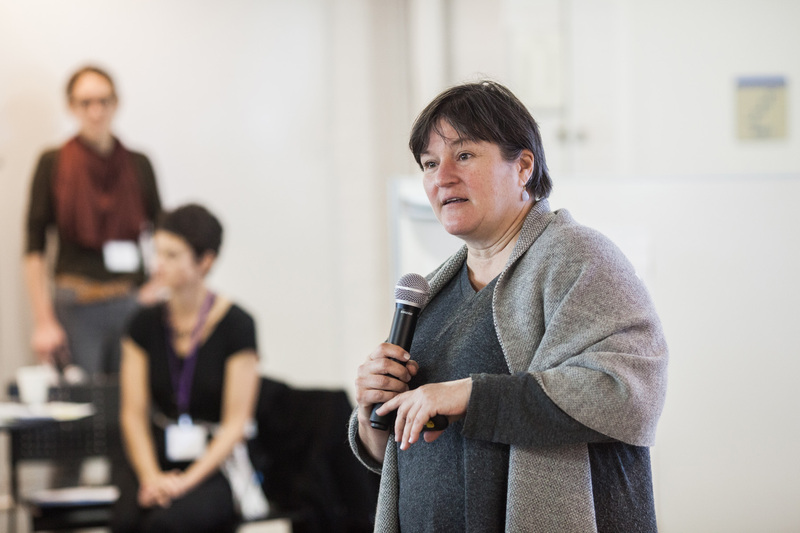 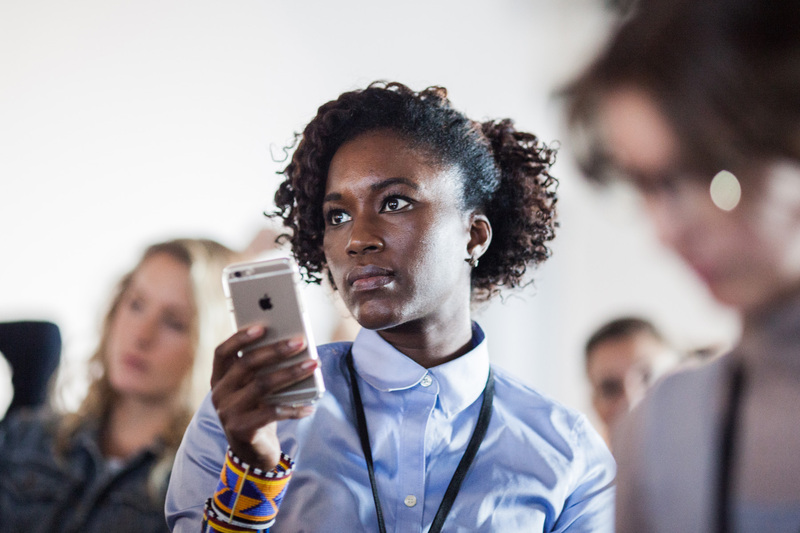 Creative Tensions is a physically activated collective conversation in which participants declare where they stand on a topic by virtue of where they stand in the room. 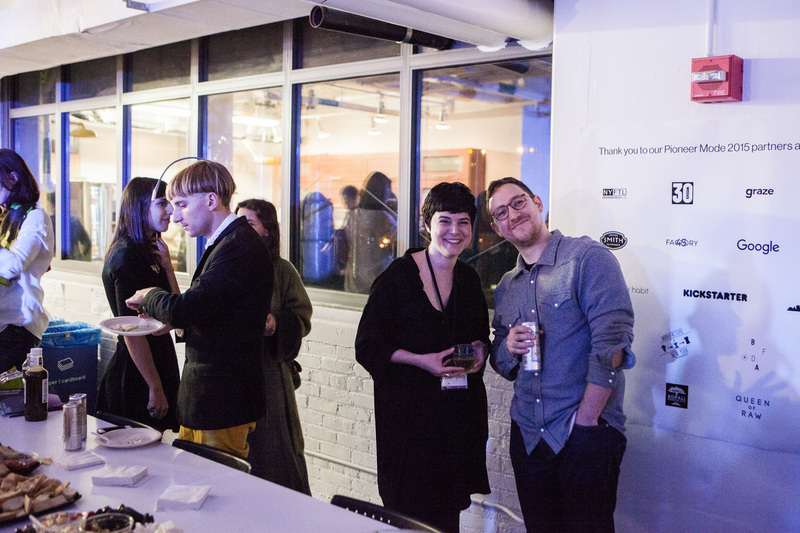 Each event is inspired and provoked by a pair of individuals who approach the given topic from wildly different places. 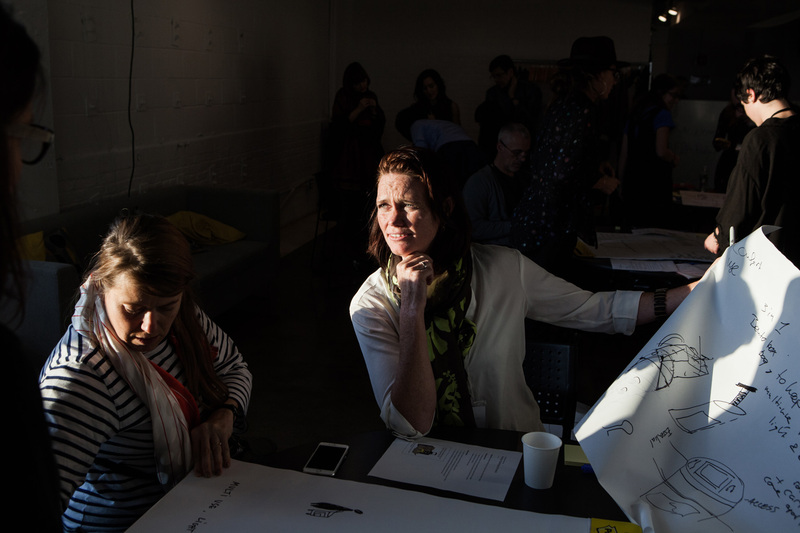 Creative Tensions prompts reflection, explores nuance, and celebrates the rare moment when one changes one’s mind. 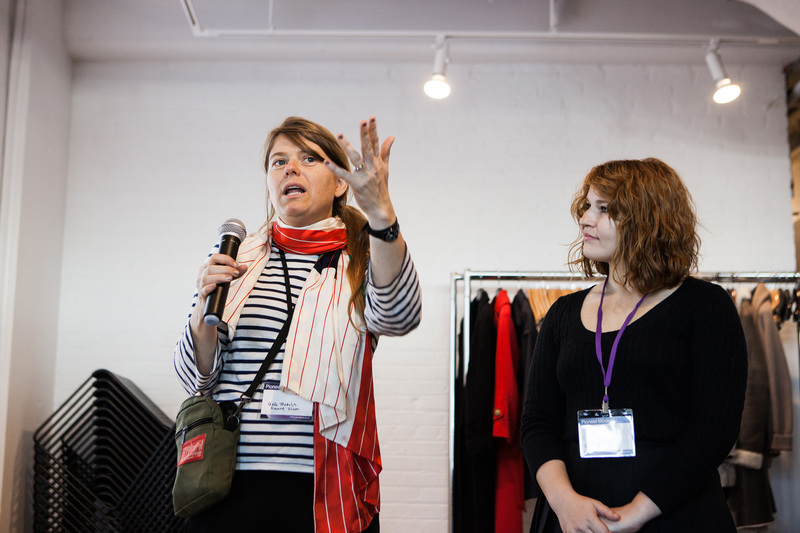 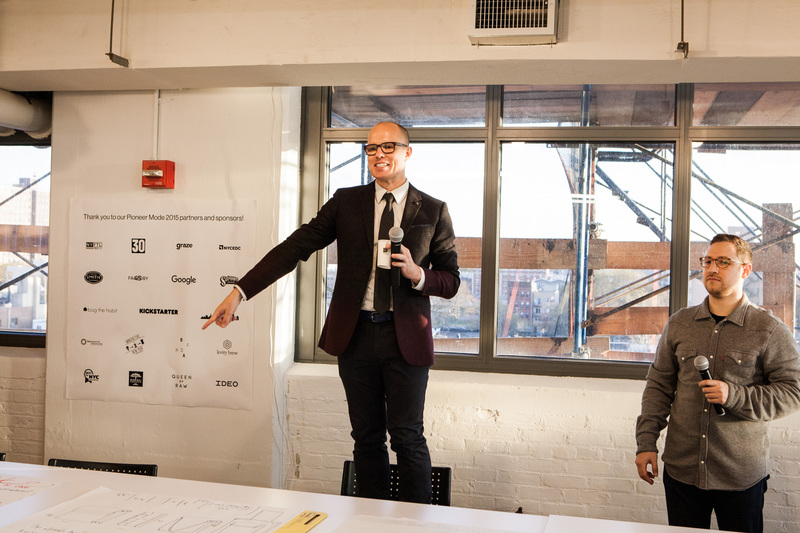 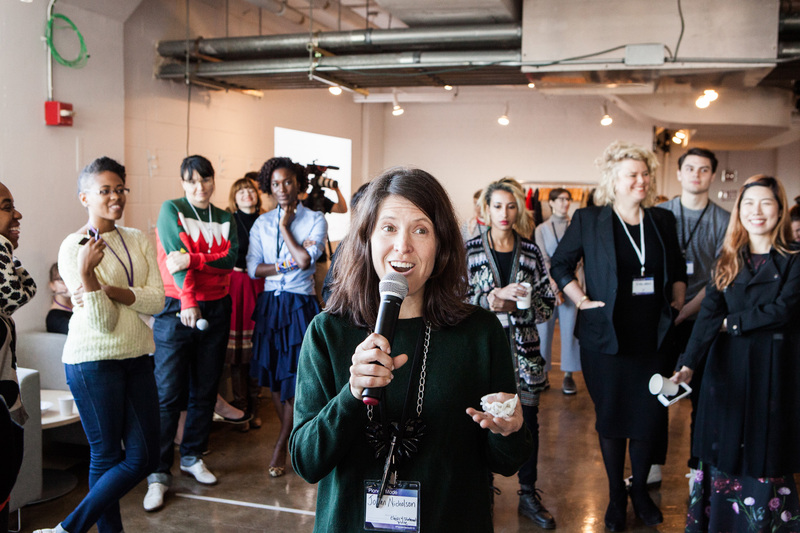 At Pioneer Mode, we utilized the exercise as the conference icebreaker, asking attendees to take a literal stance on core issues facing the fashion industry. 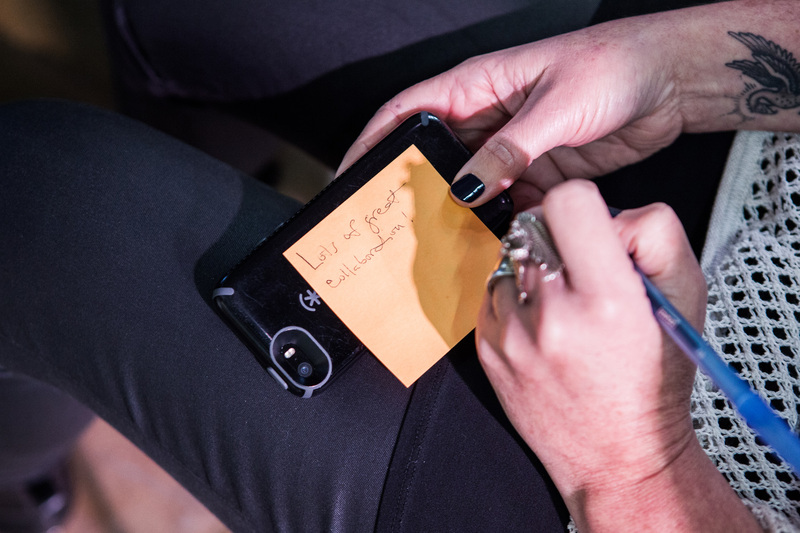 Focus on the User... and all else will follow! 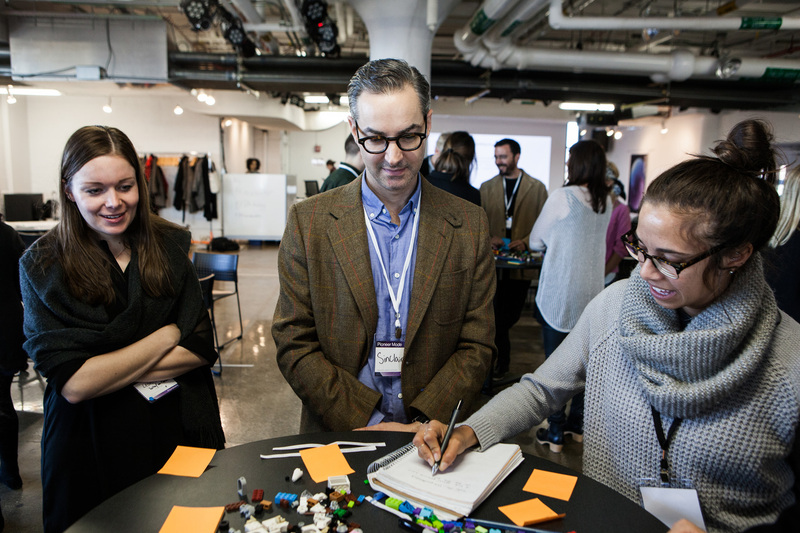 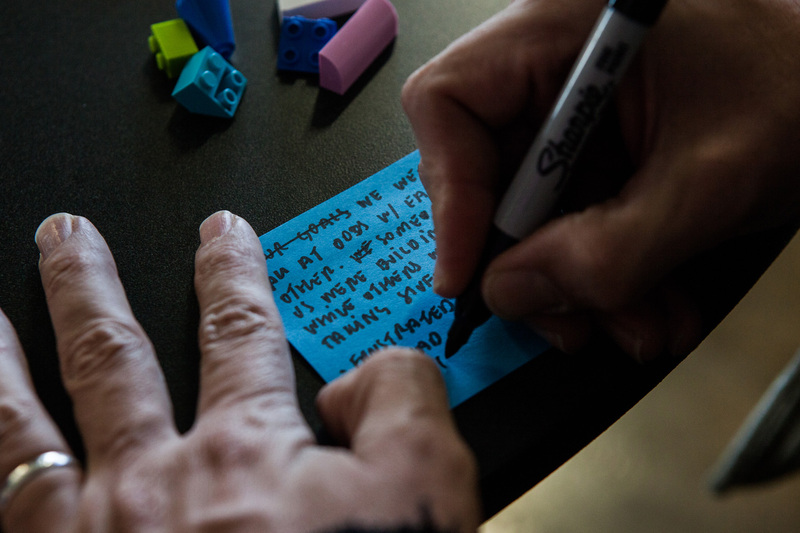 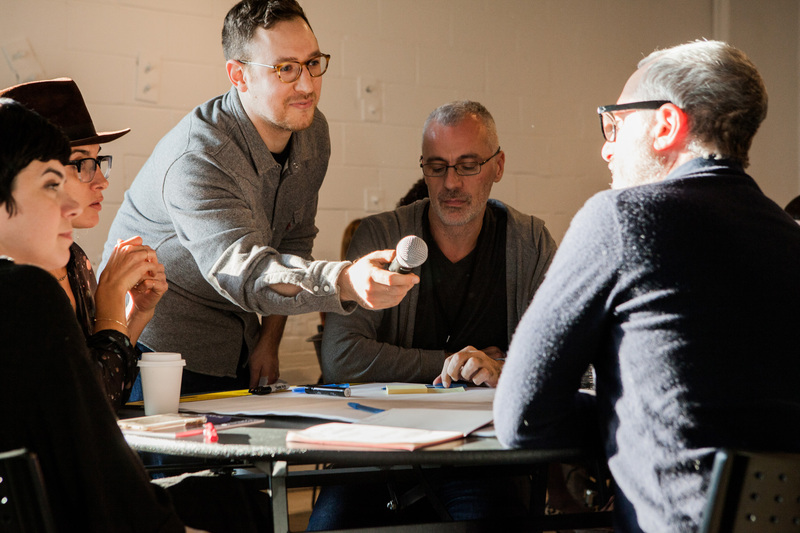 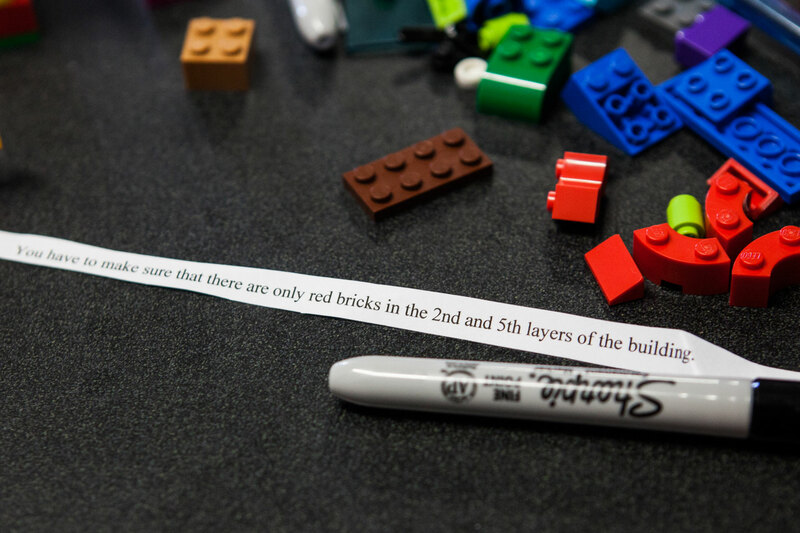 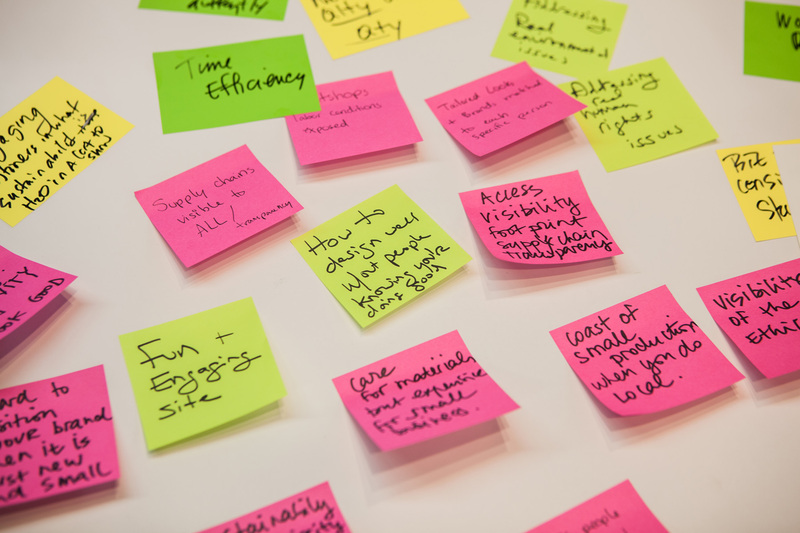 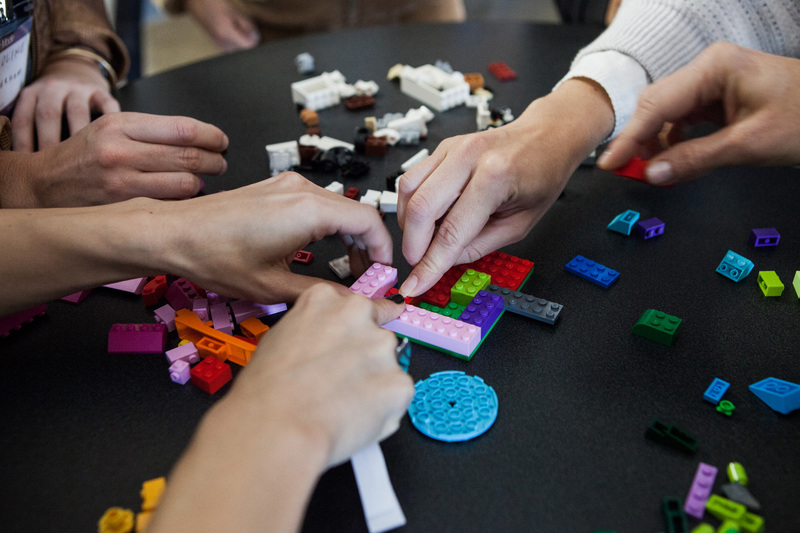 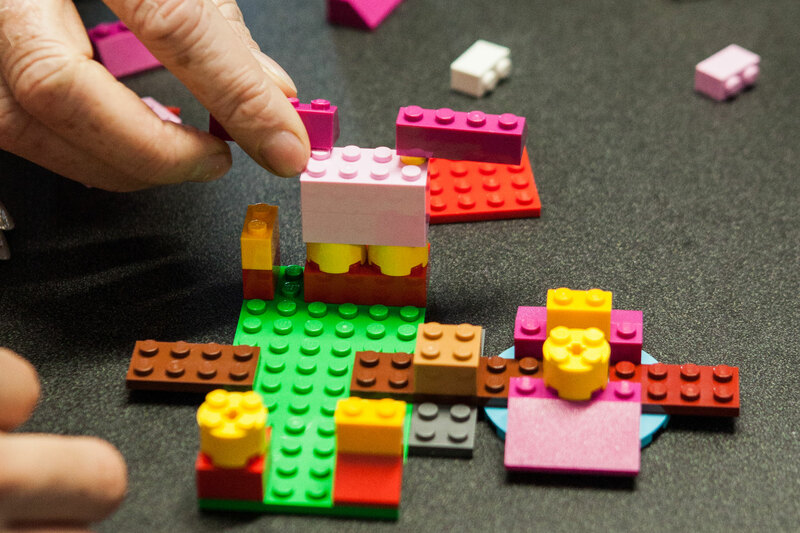 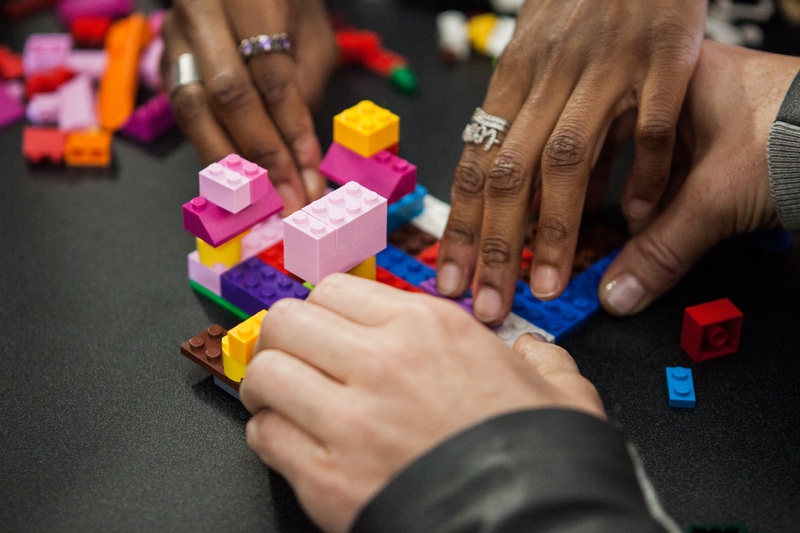 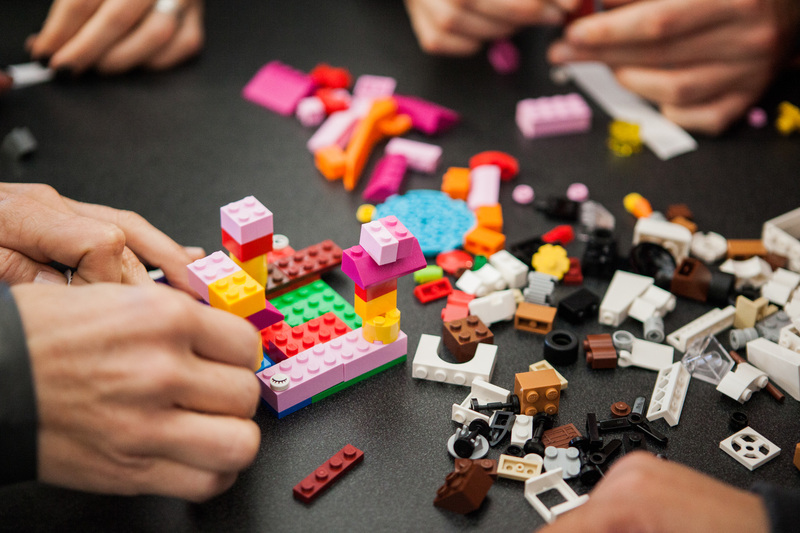 Interaction designers from Google led attendees through a workshop to experience how they accelerate innovation to solve problems creatively through user-centered, prototype-driven design. 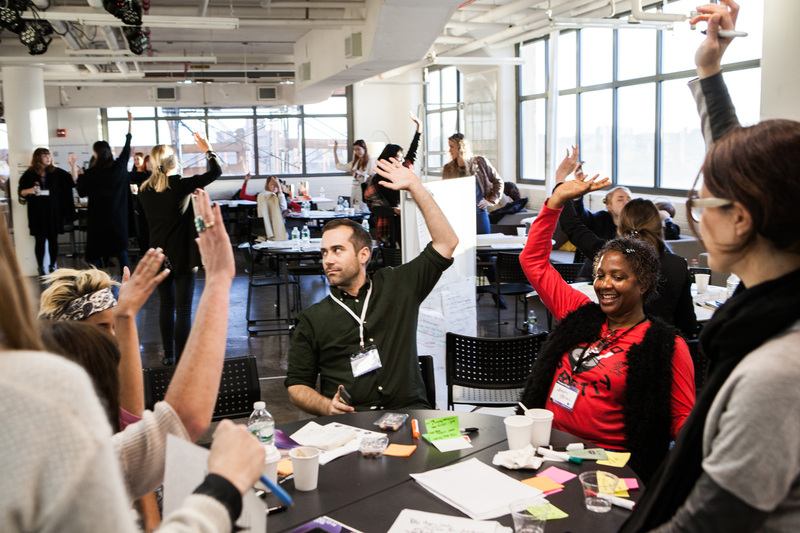 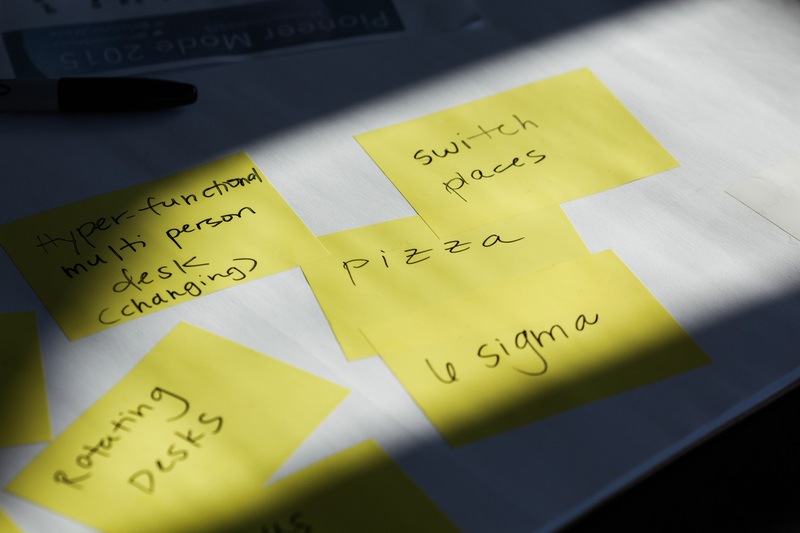 Attendees worked collaboratively to invent solutions serving real human needs, while learning new approaches to face to their day-to-day challenges. 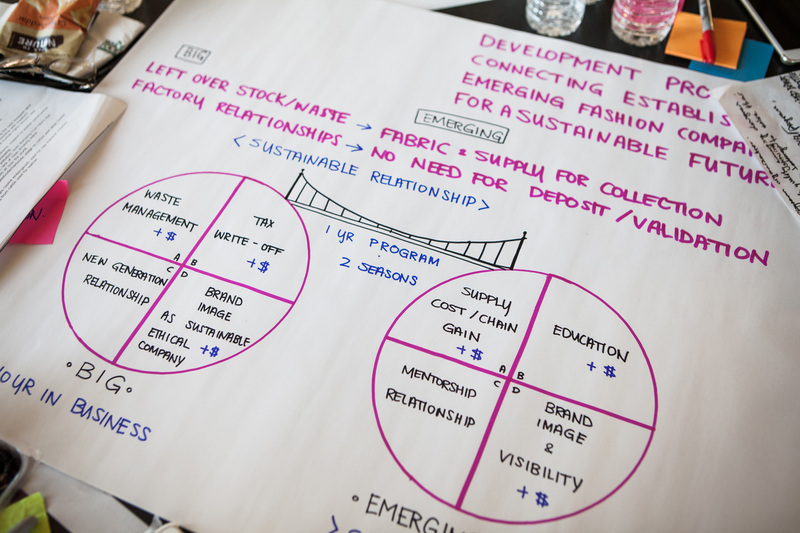 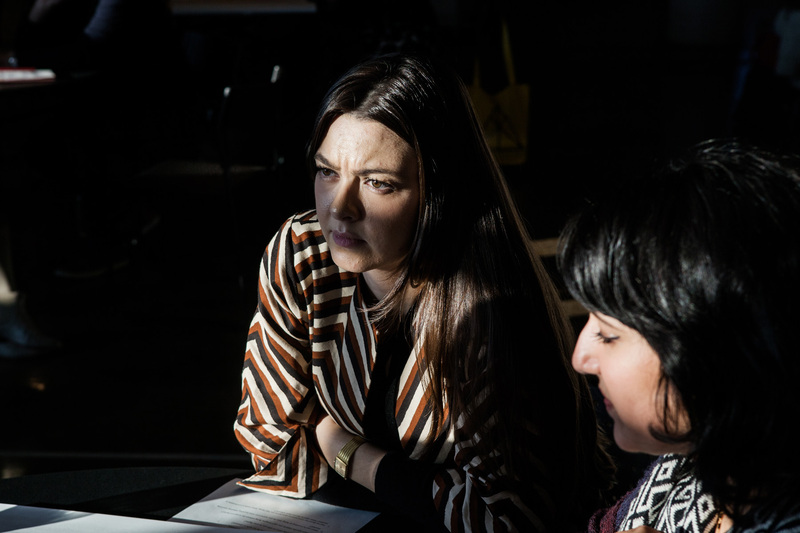 The second day of the conference was a full day of problem-solving a fashion industry pain point by working with a team's collective skills to find a viable business solution. 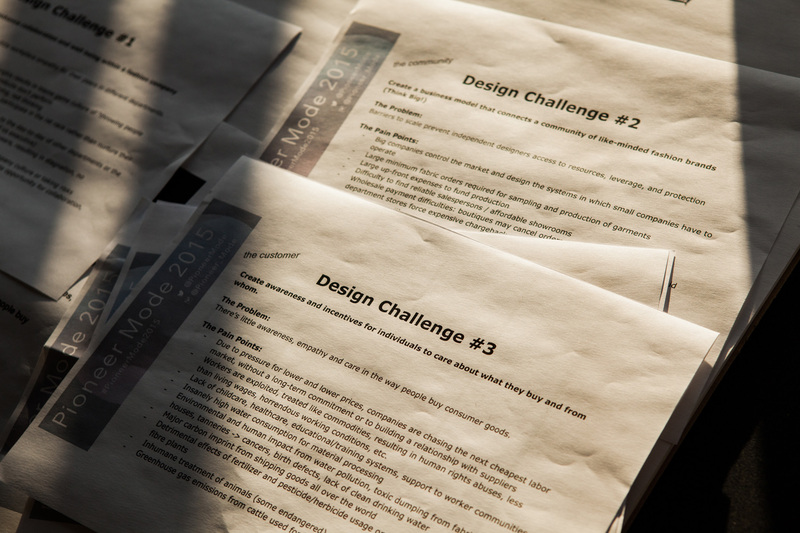 We provided three possible design challenges for teams to choose from, addressing issues facing the fashion consumer, design community, or industry at large. 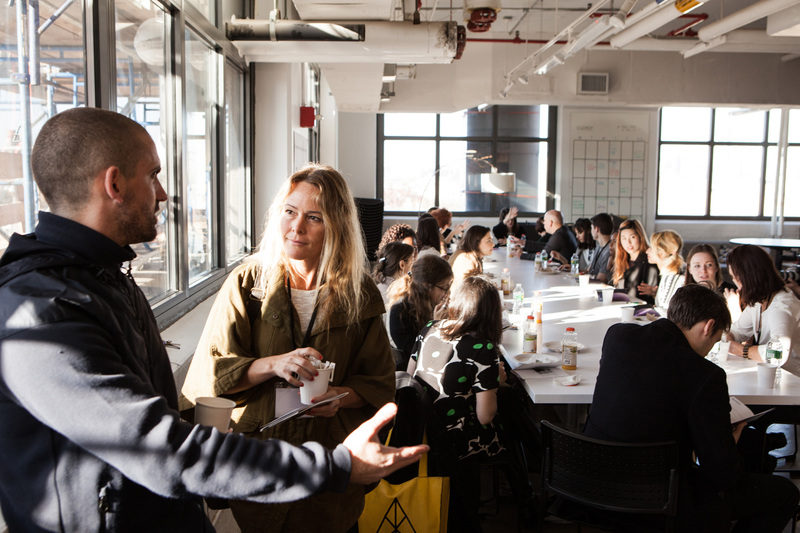 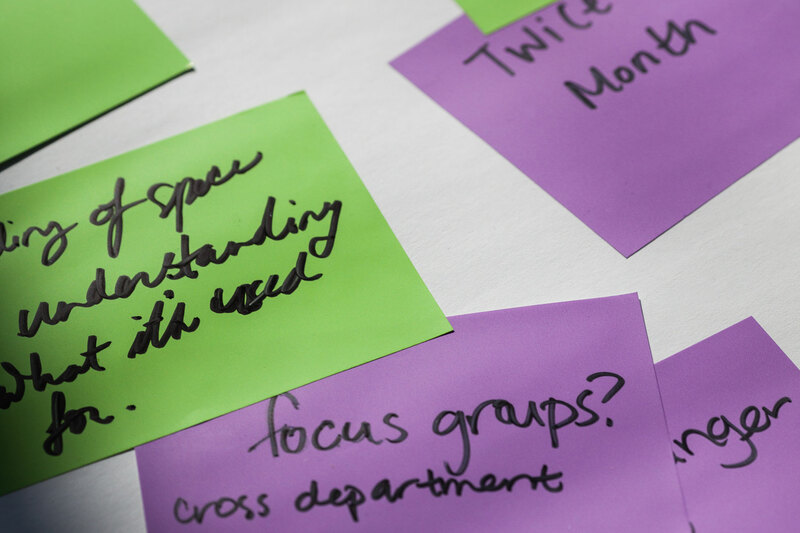 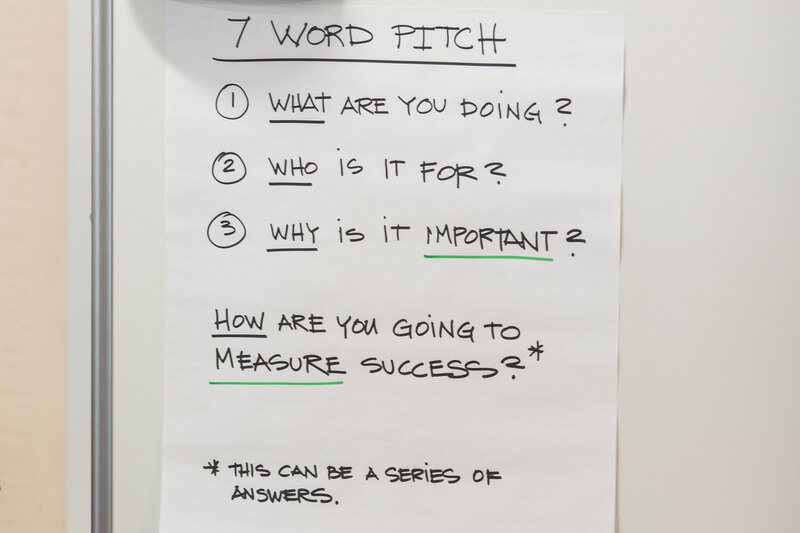 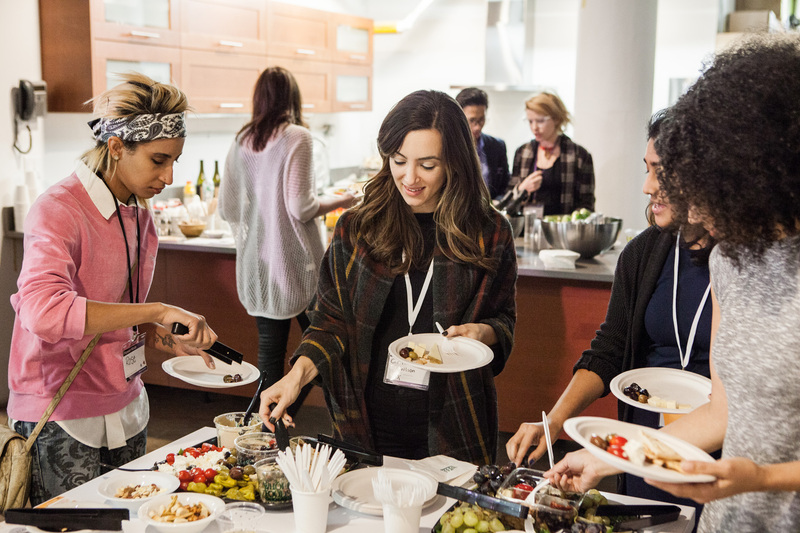 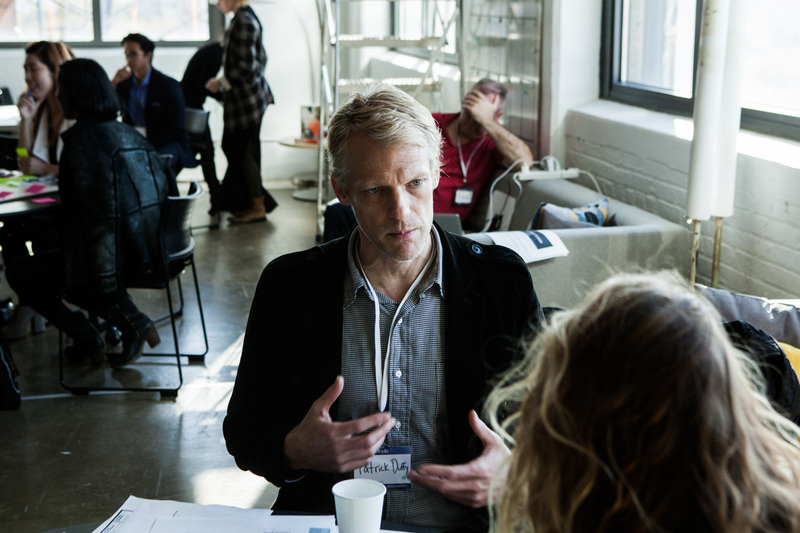 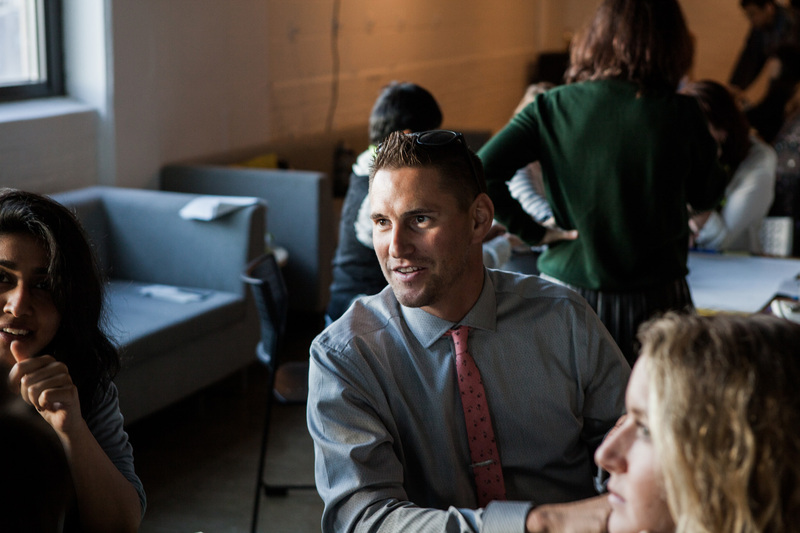 We partnered with 30 Weeks to facilitate the day's workshops, consisting of brainstorm sessions, idea validation, iteration, and pitching to a panel. 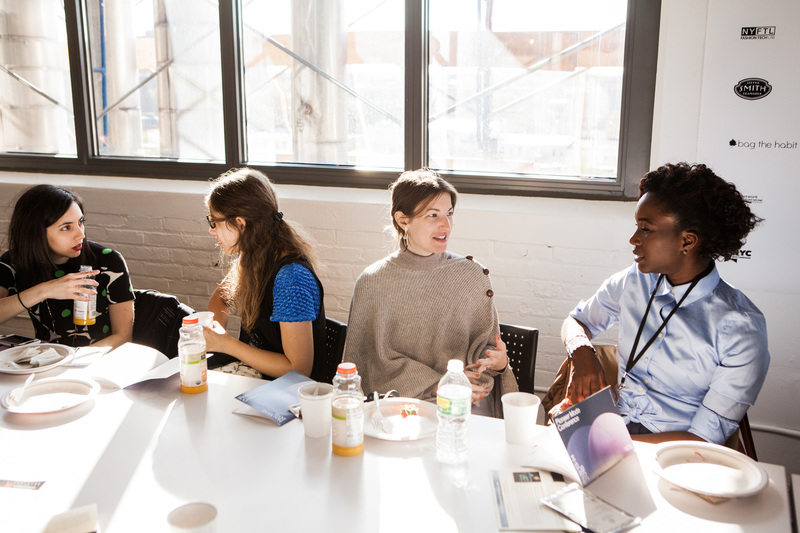 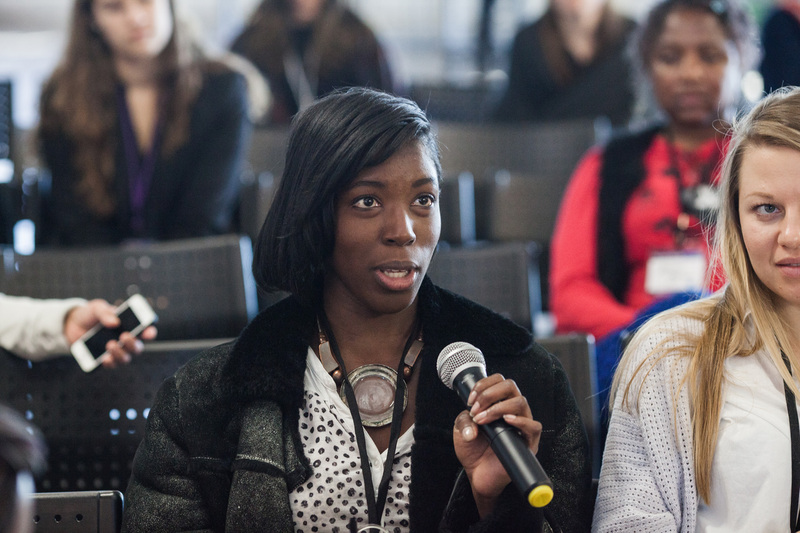 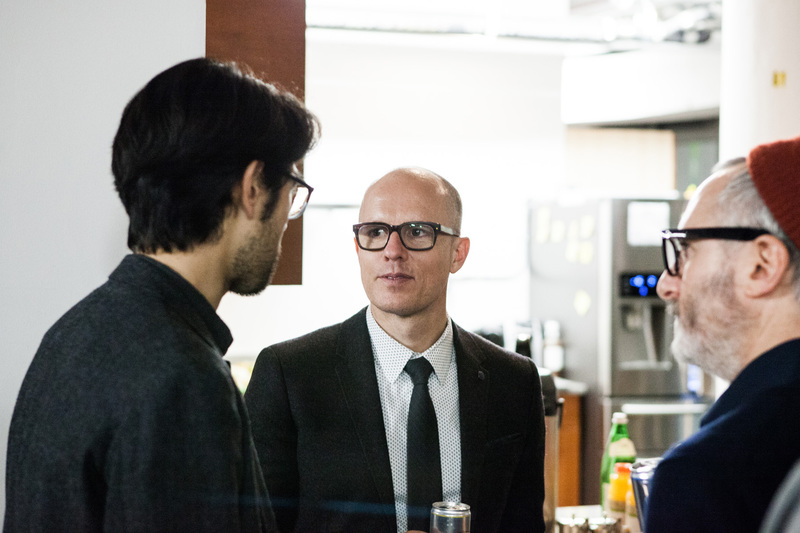 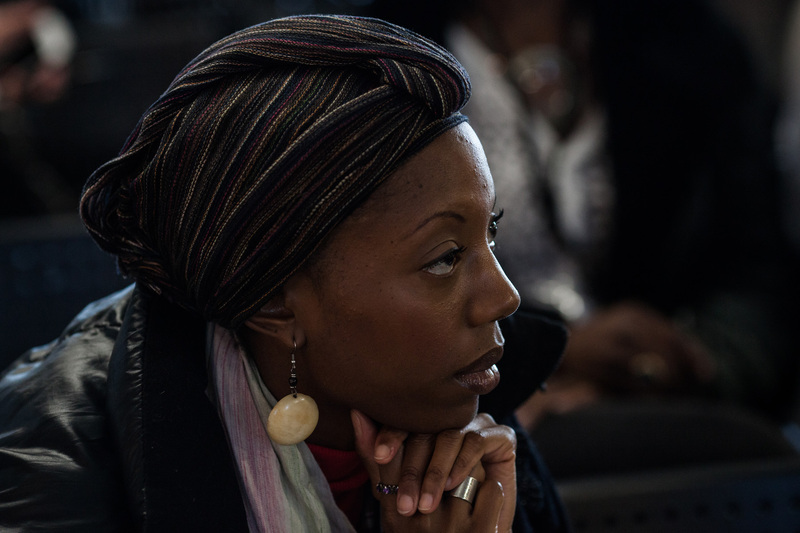 Attendees were also treated to inspiration breakout sessions and mentorship from topic experts. 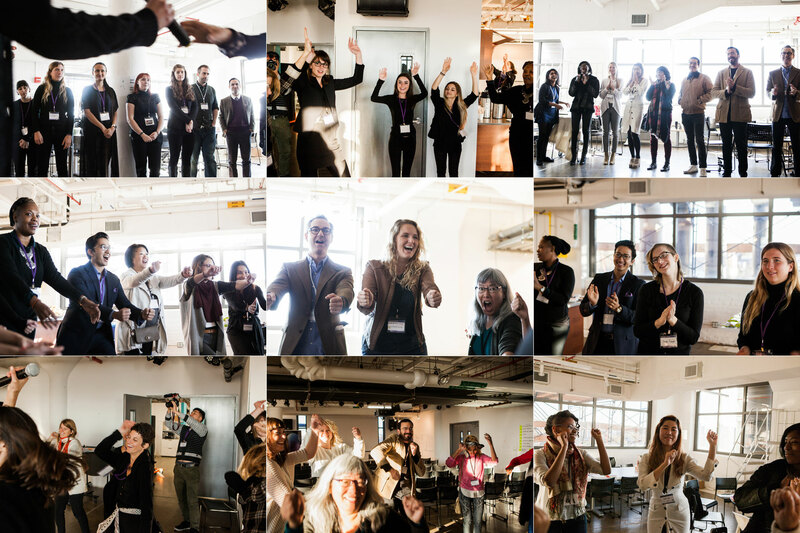 Our icebreaker activity on the Business Innovation Day allowed attendees to get to know each other in a non-traditional way, challenging them to collaboratively create a structure under guidelines that tested their patience, communication abilities, and willingness to follow the rules! 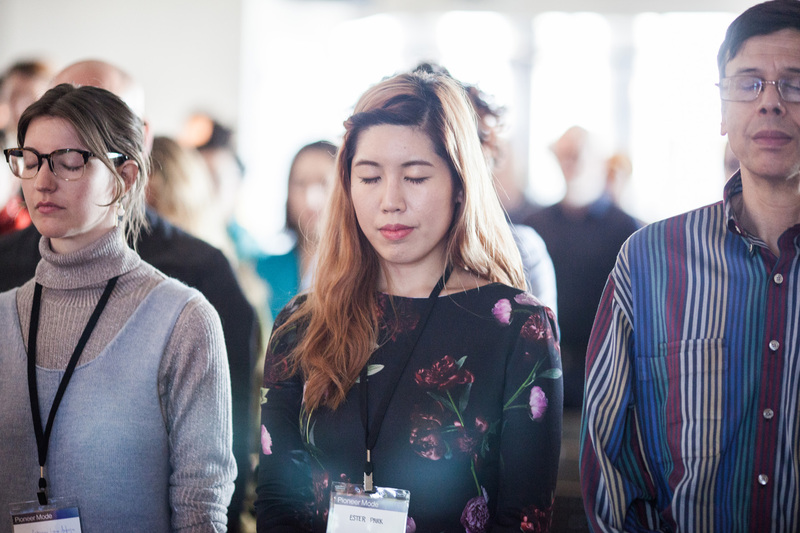 When energy levels dropped or frustrations set in, we brought the group together to re-energize and let go, allowing the creative juices to once again flow freely.